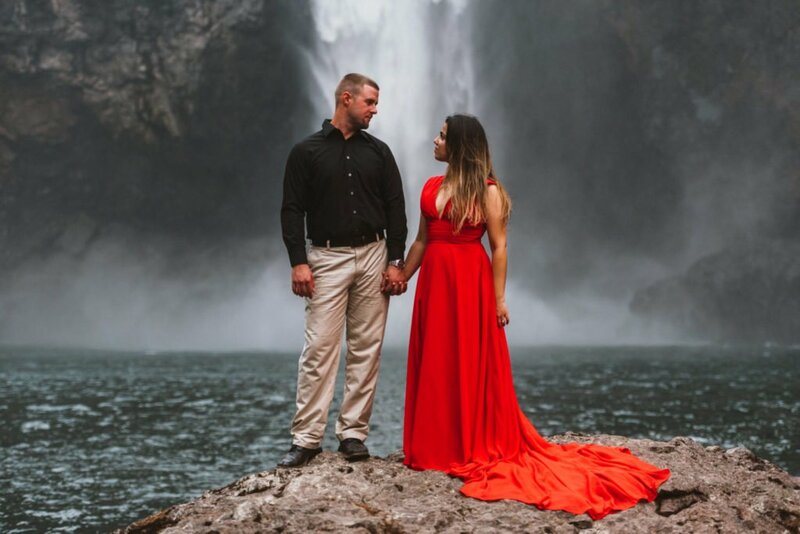 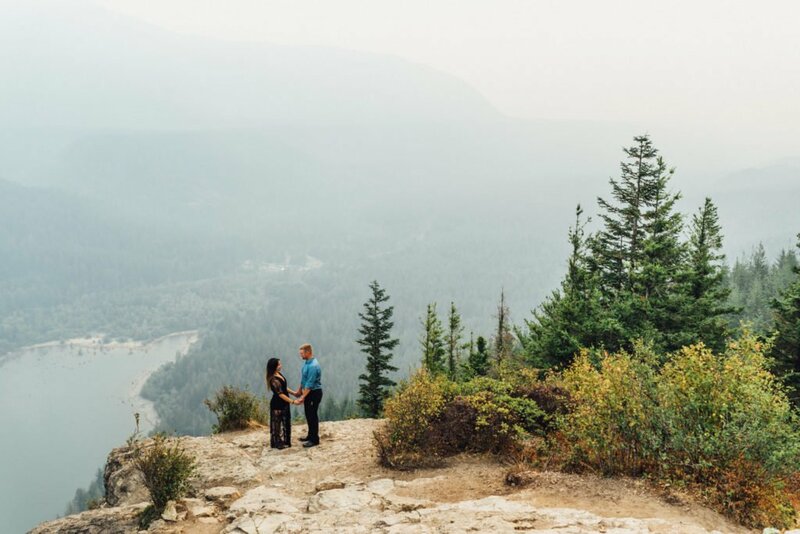 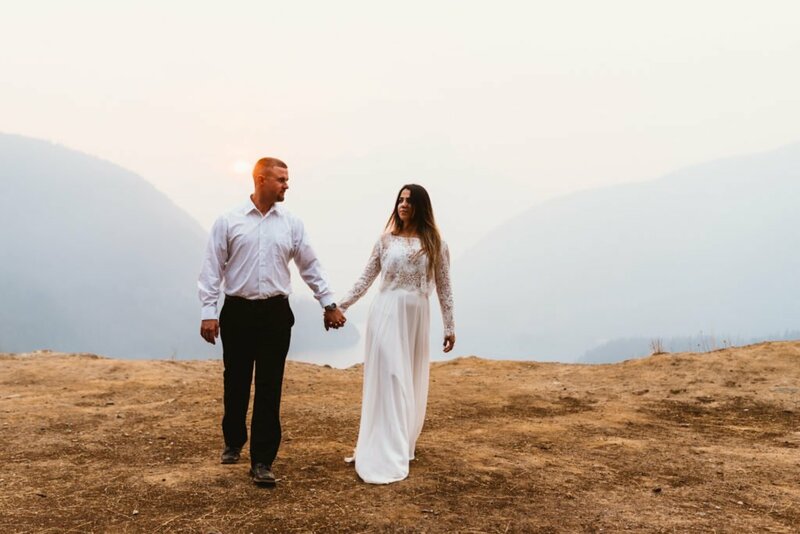 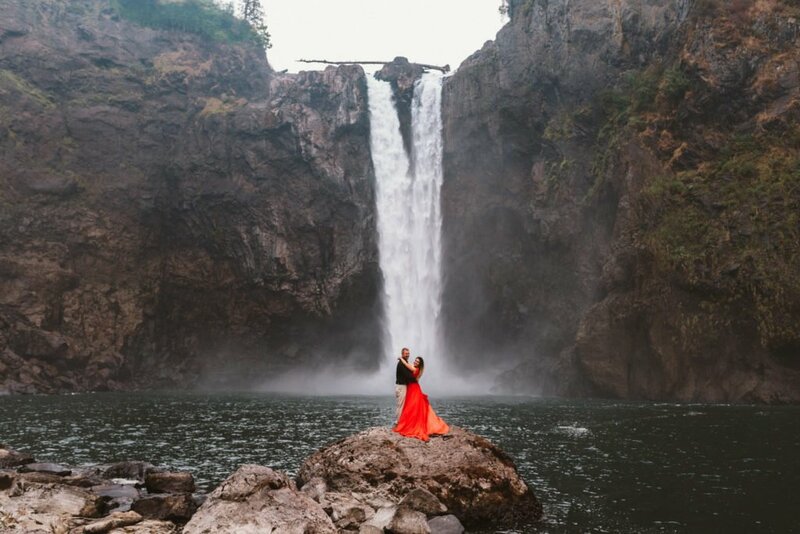 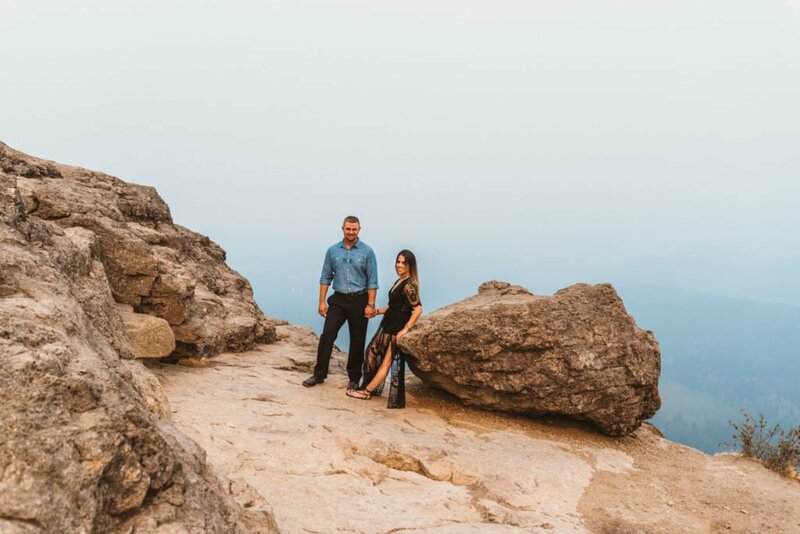 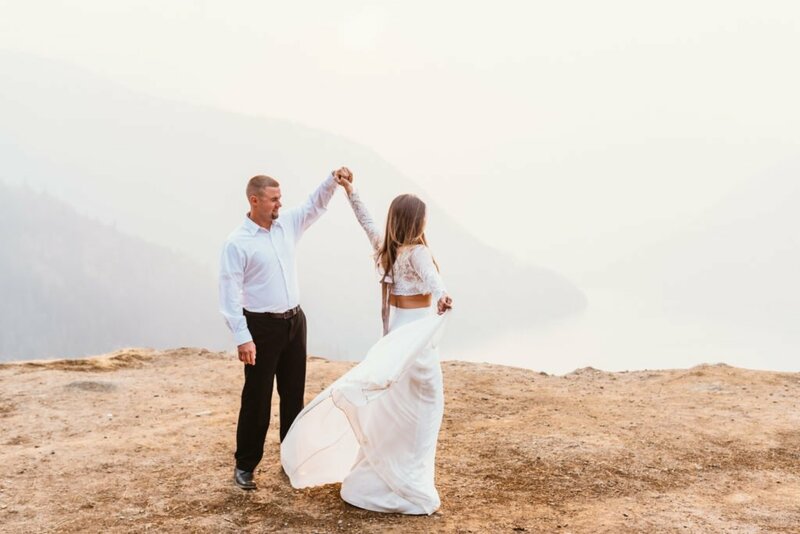 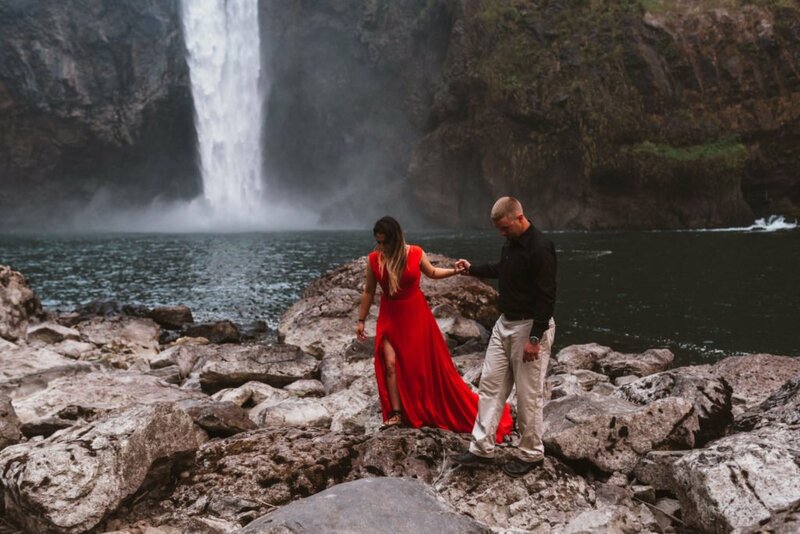 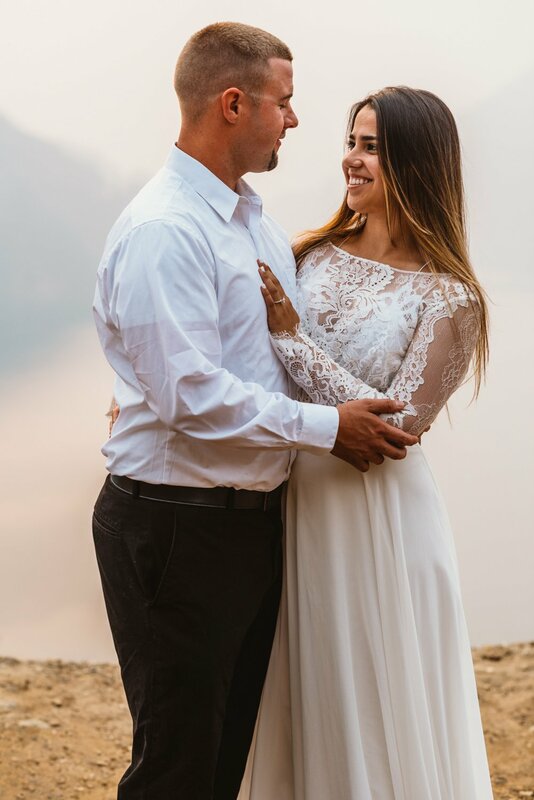 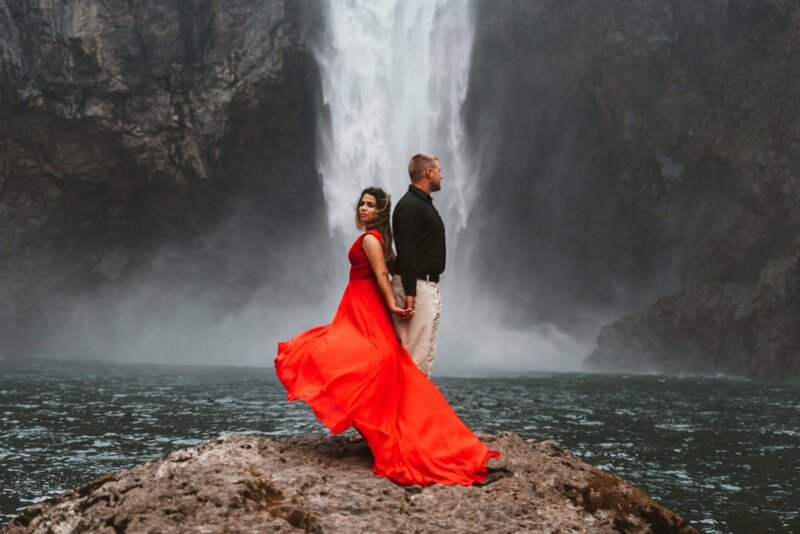 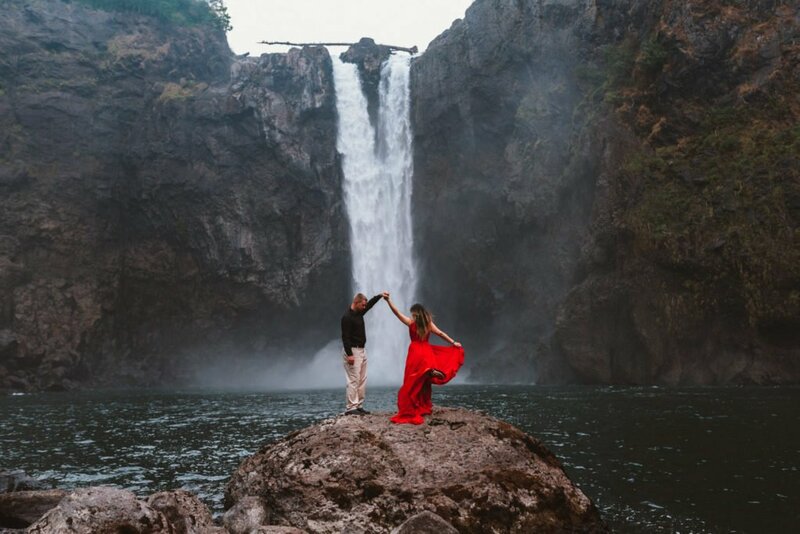 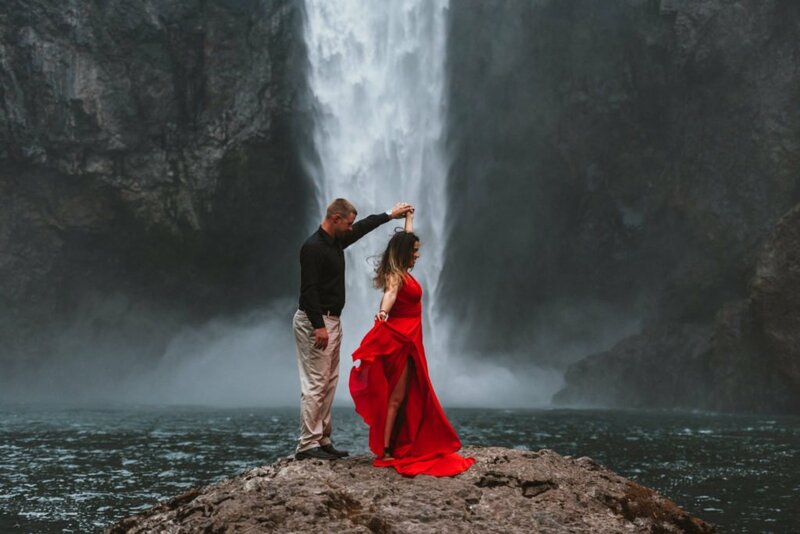 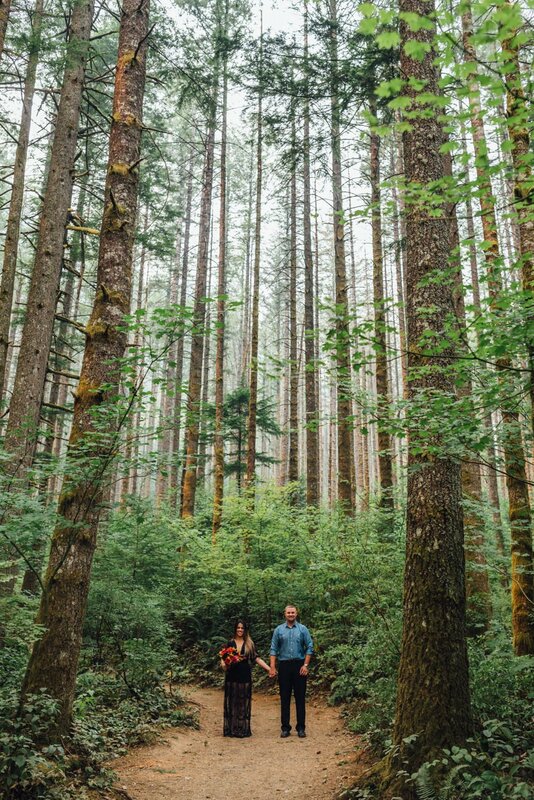 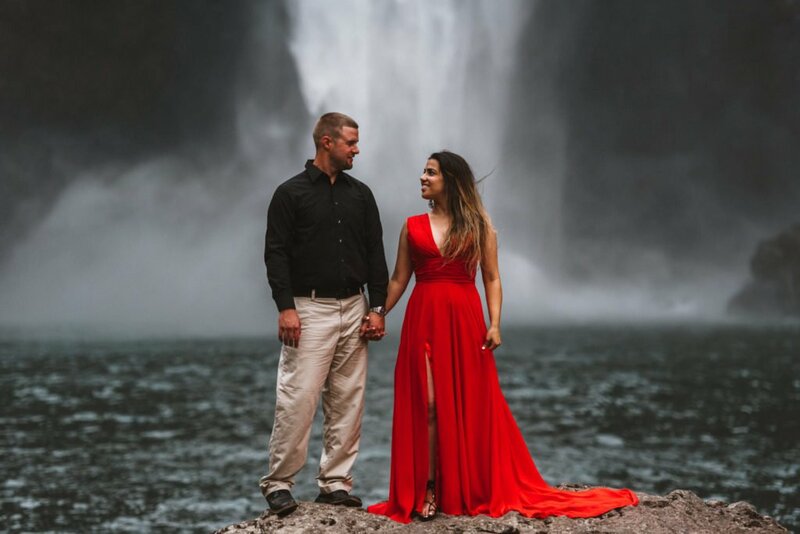 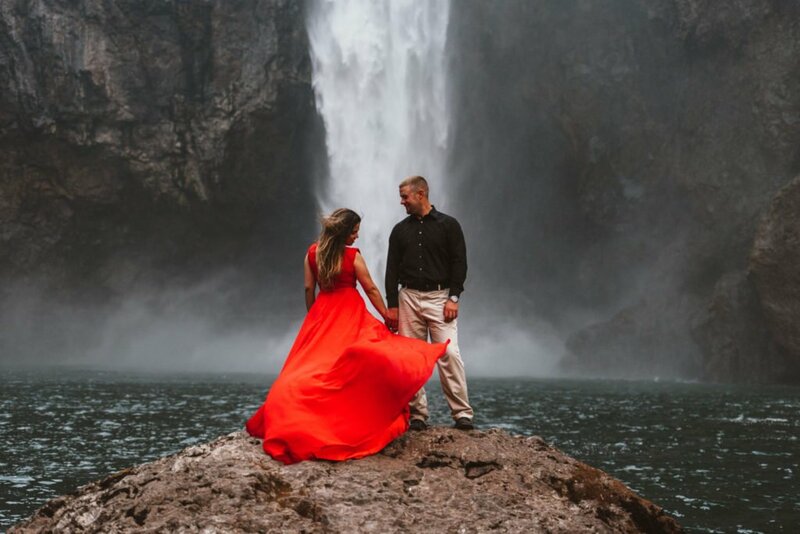 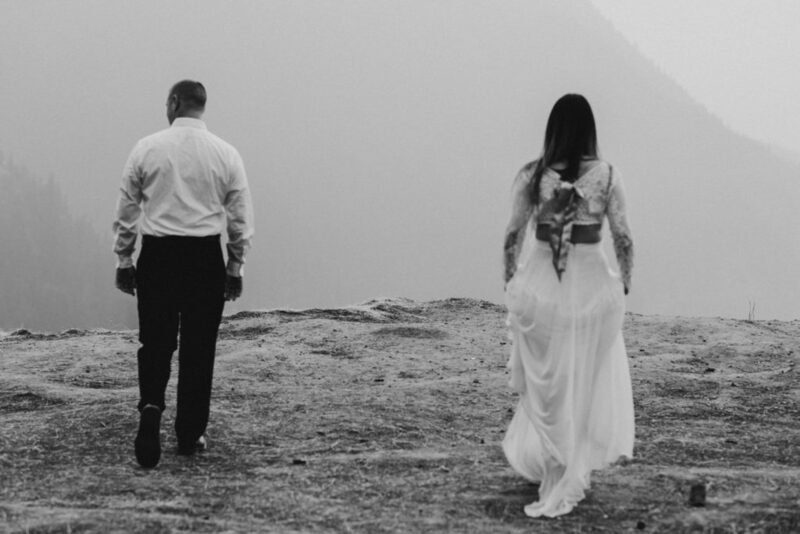 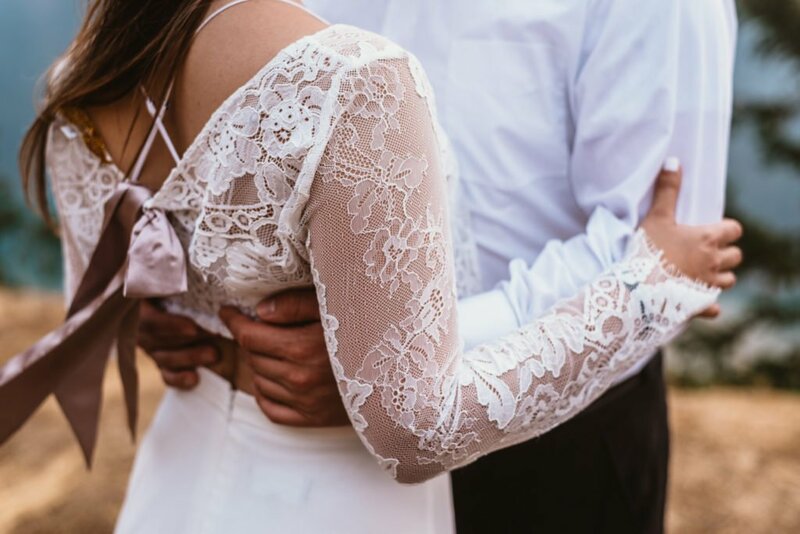 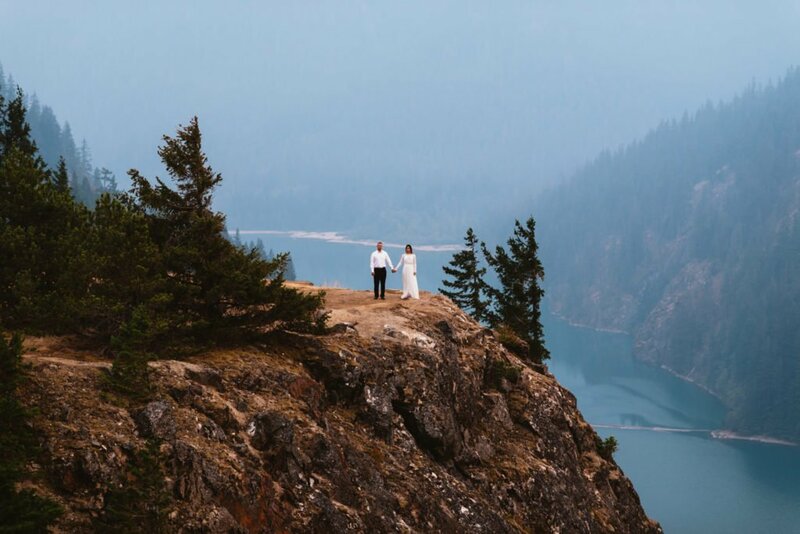 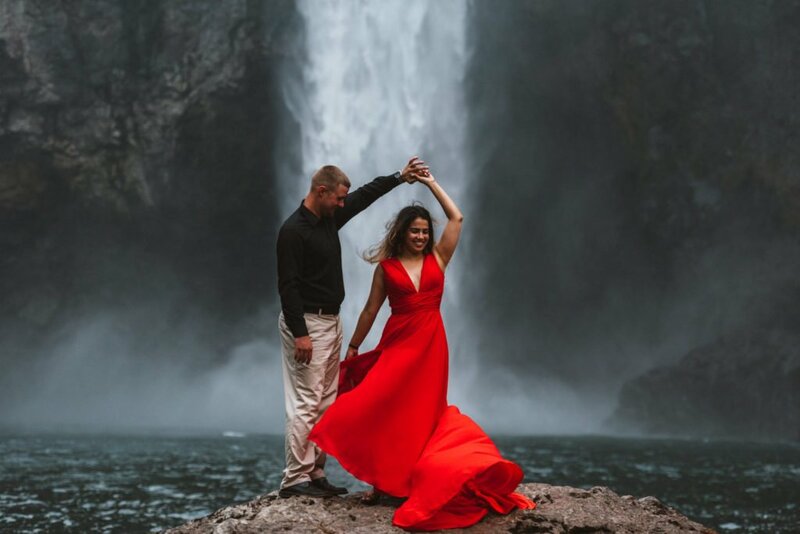 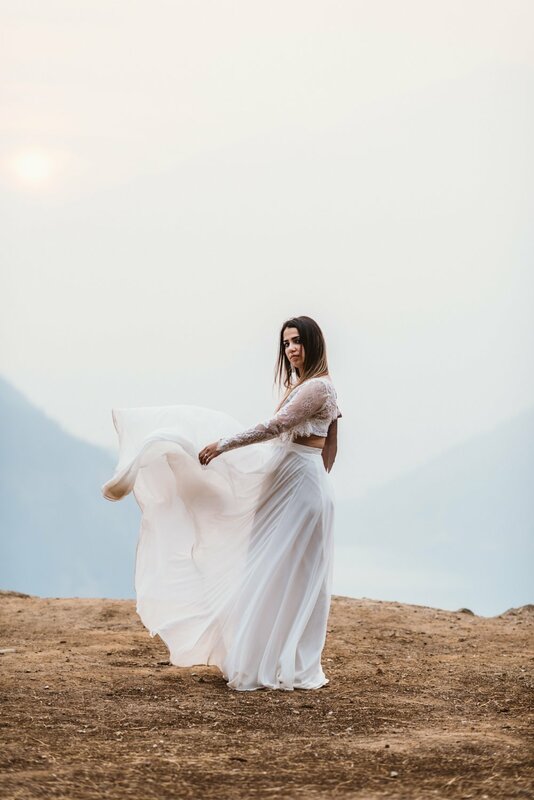 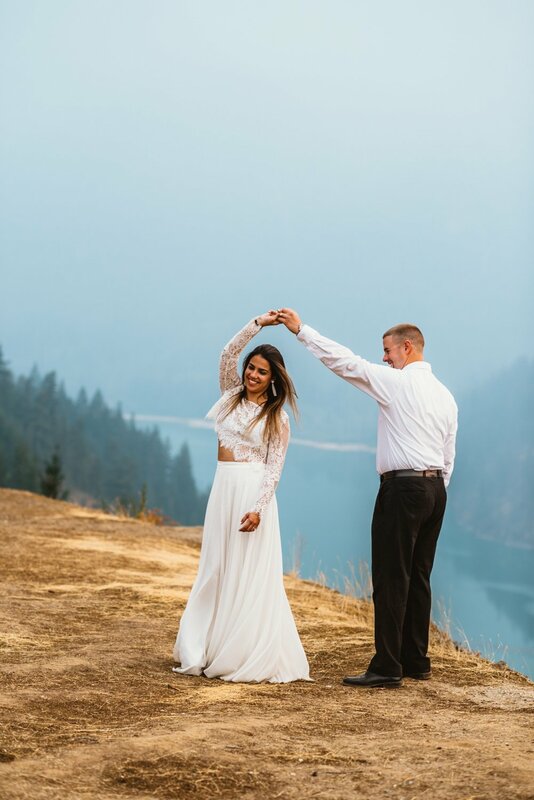 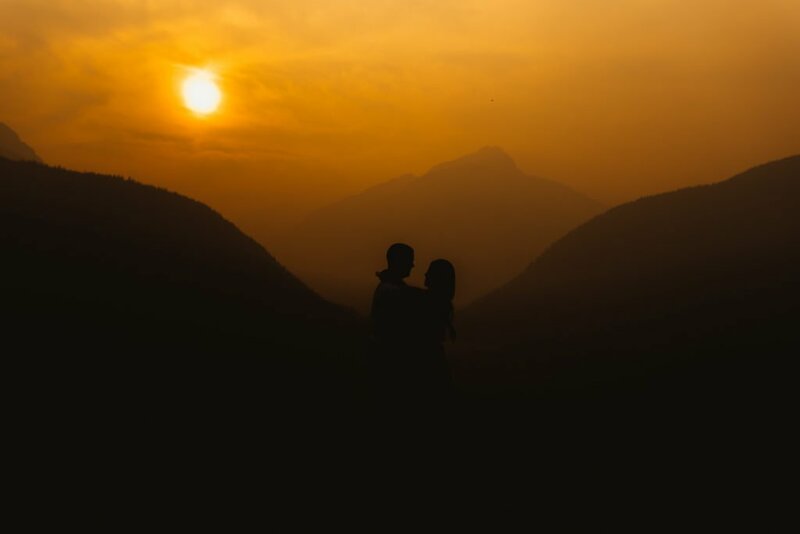 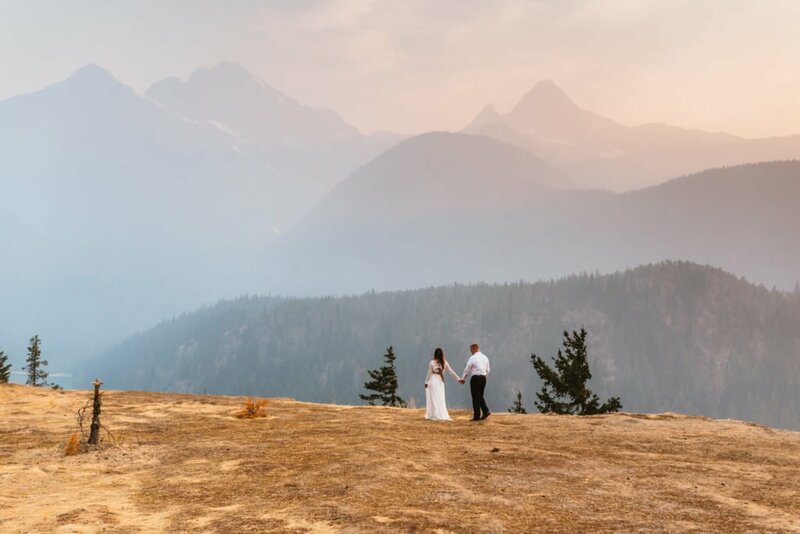 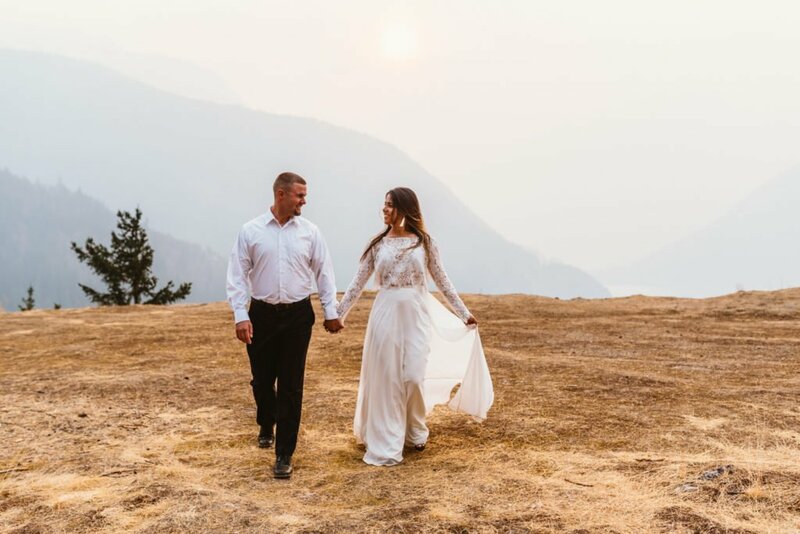 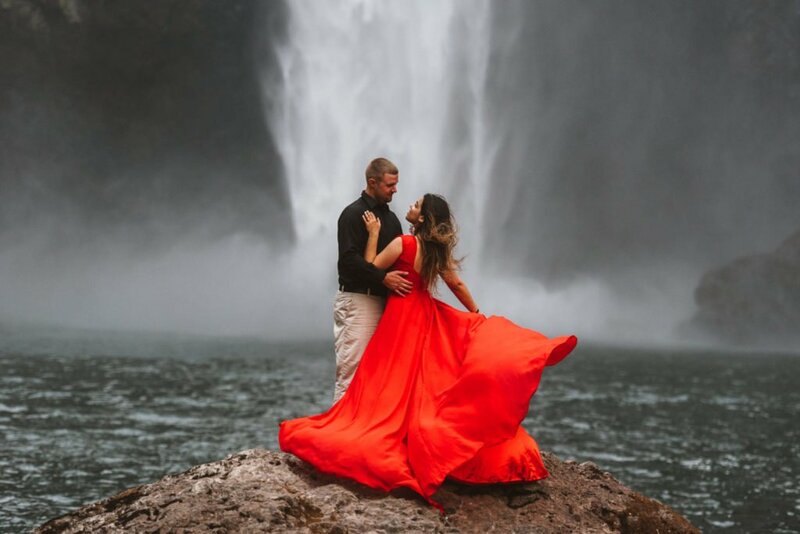 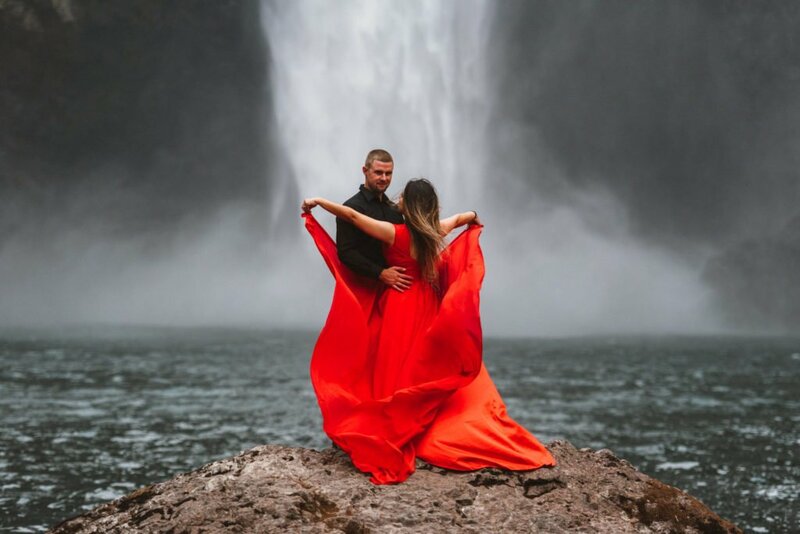 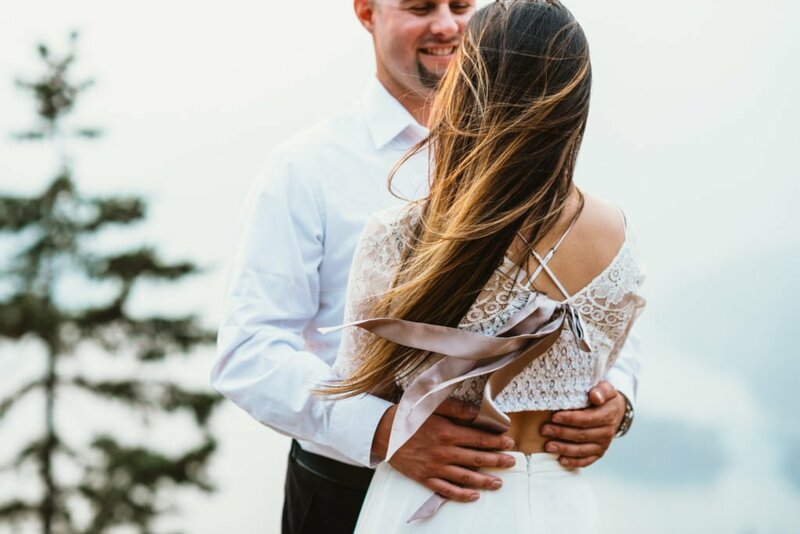 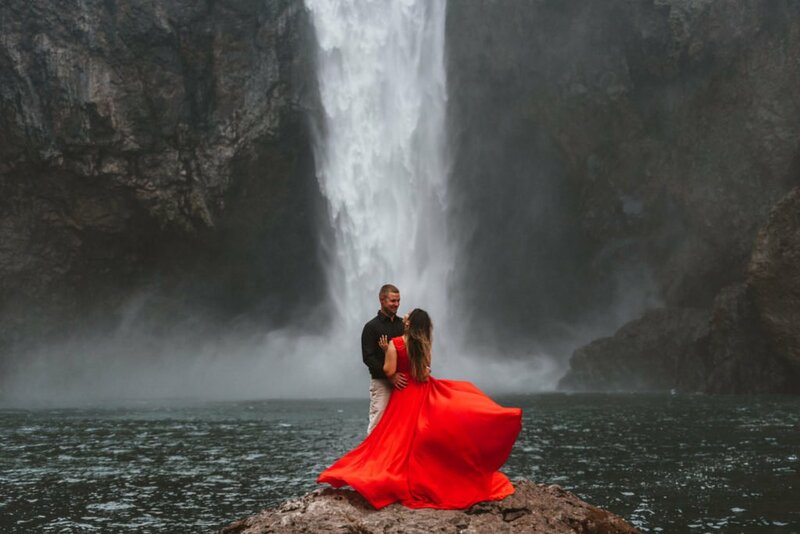 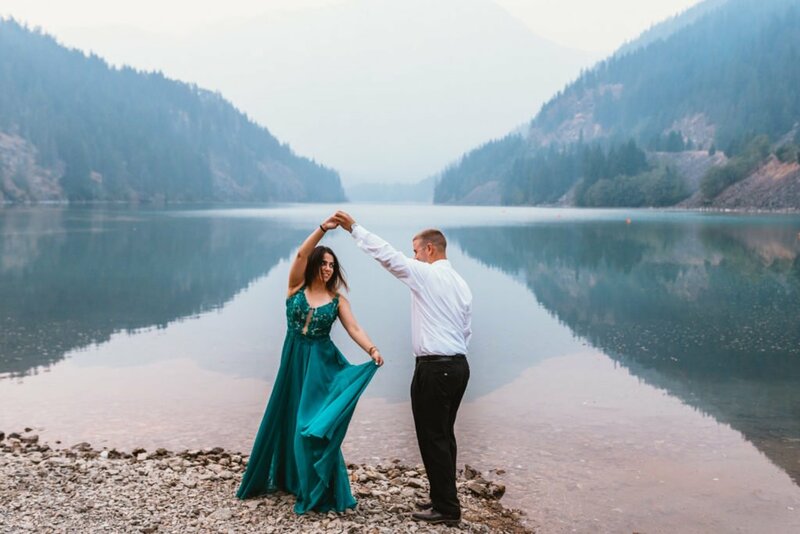 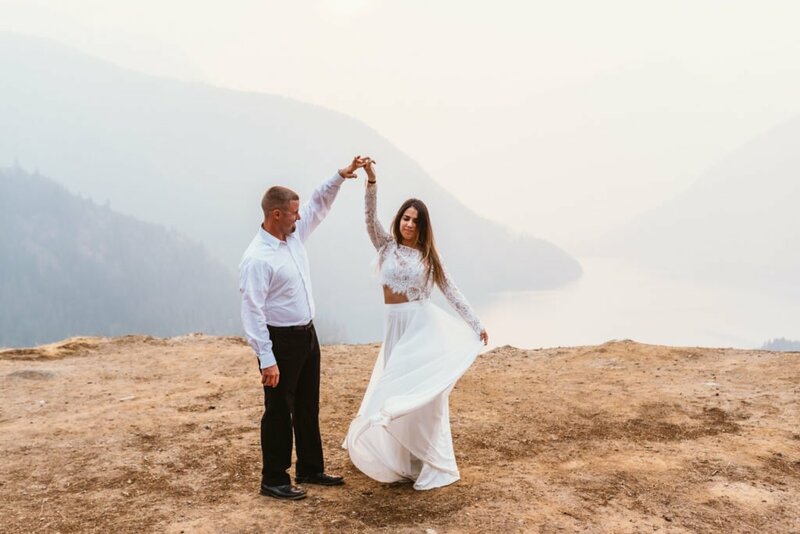 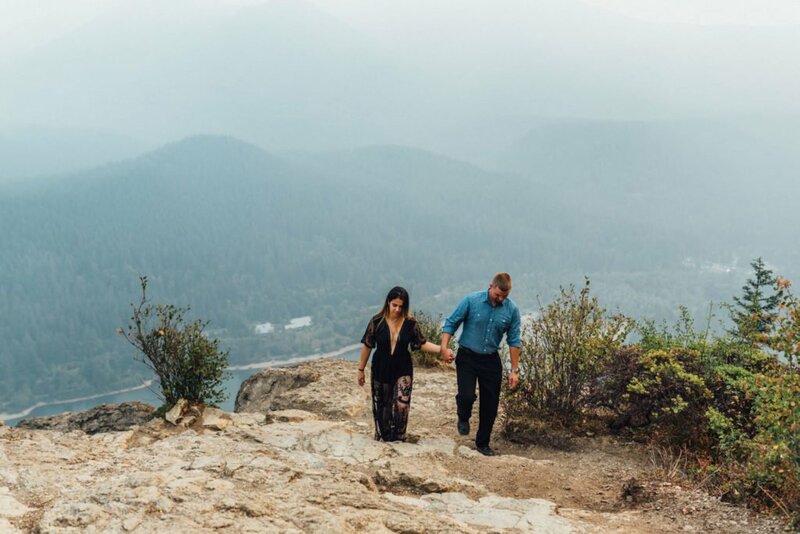 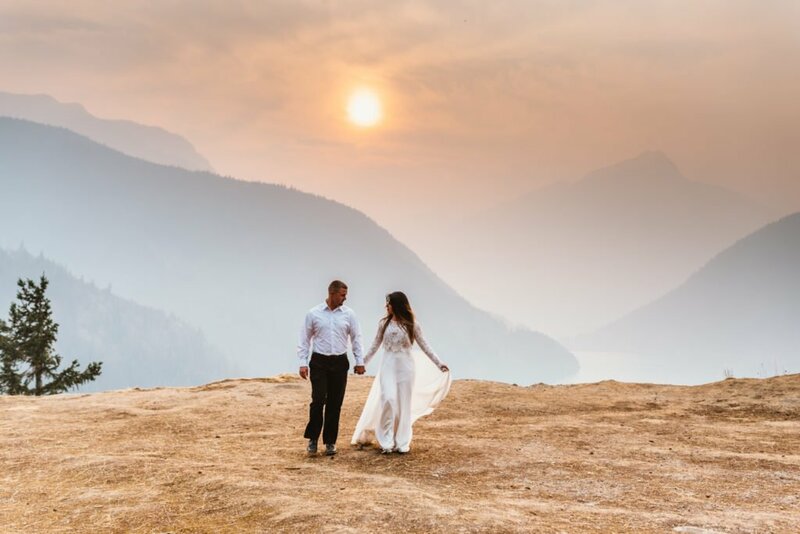 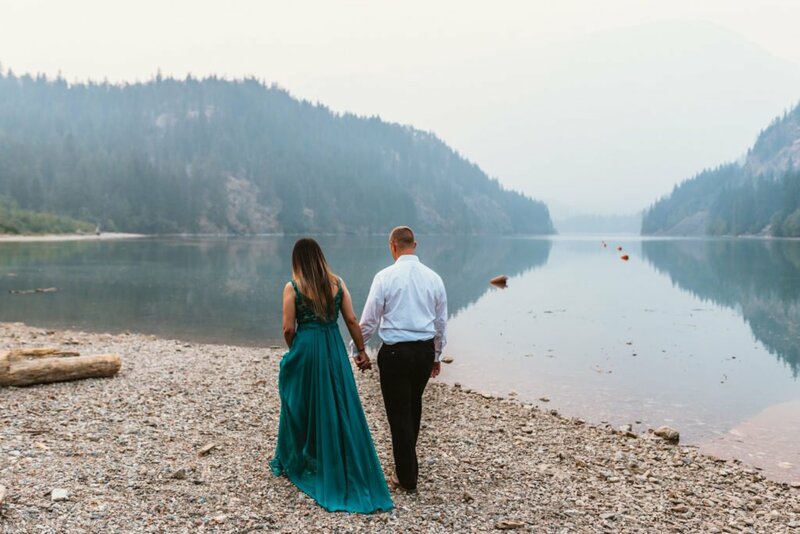 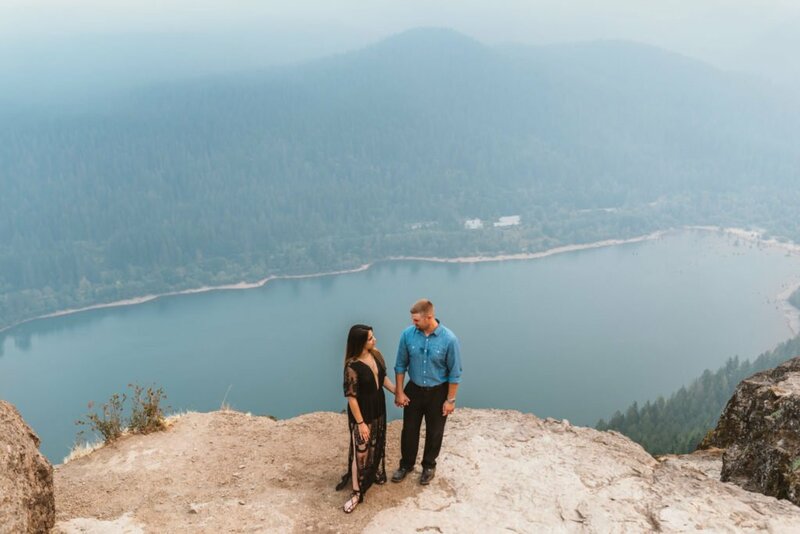 This was the epic PNW Engagement session. 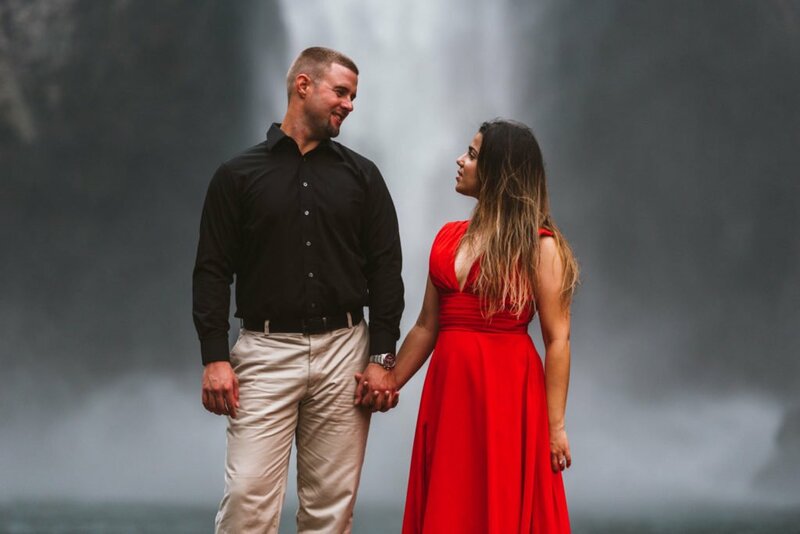 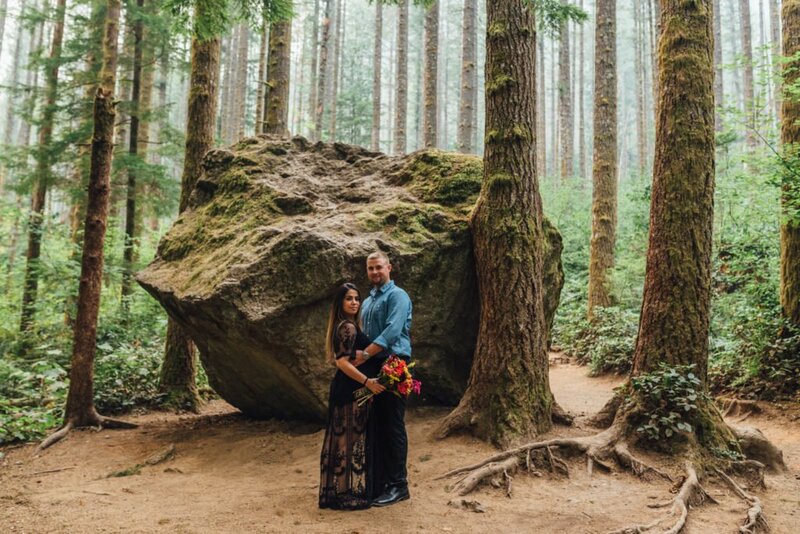 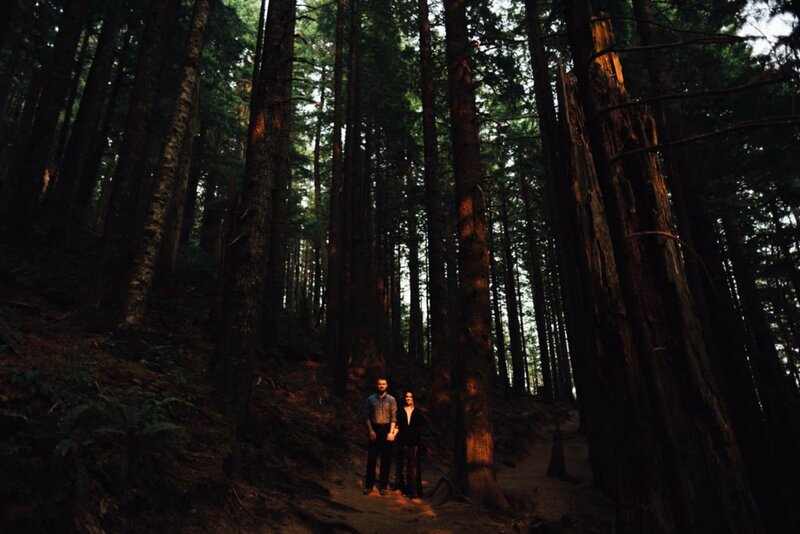 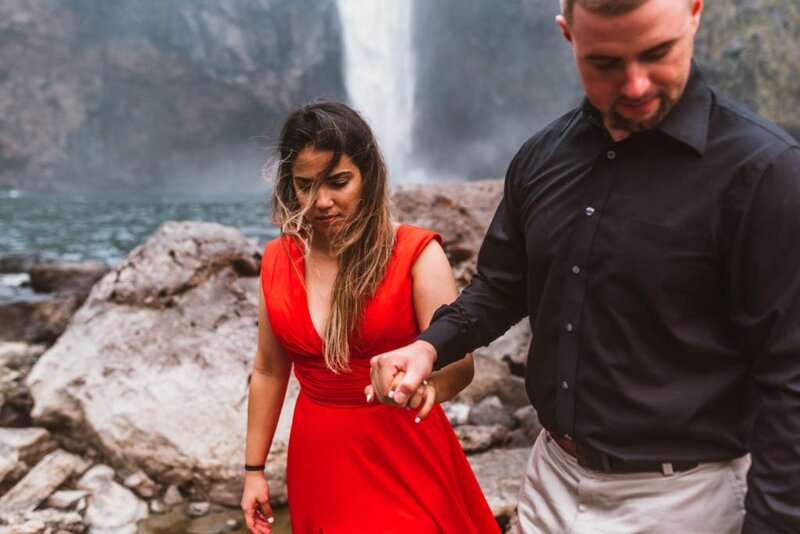 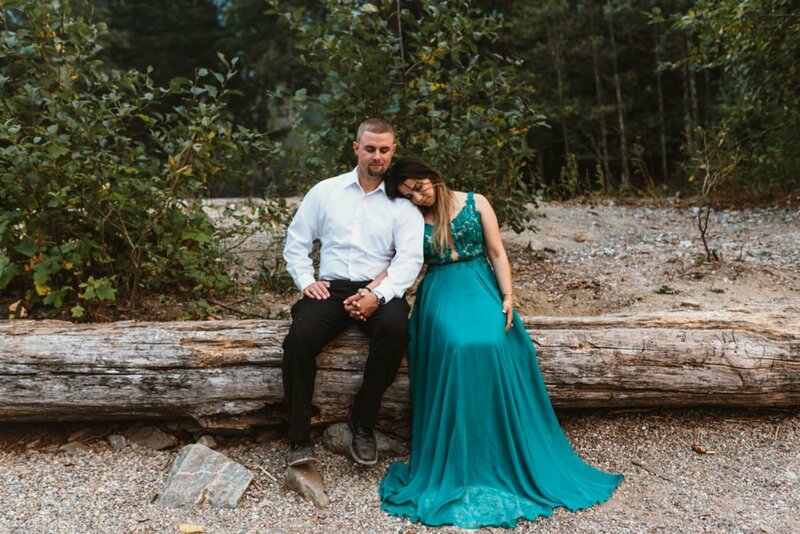 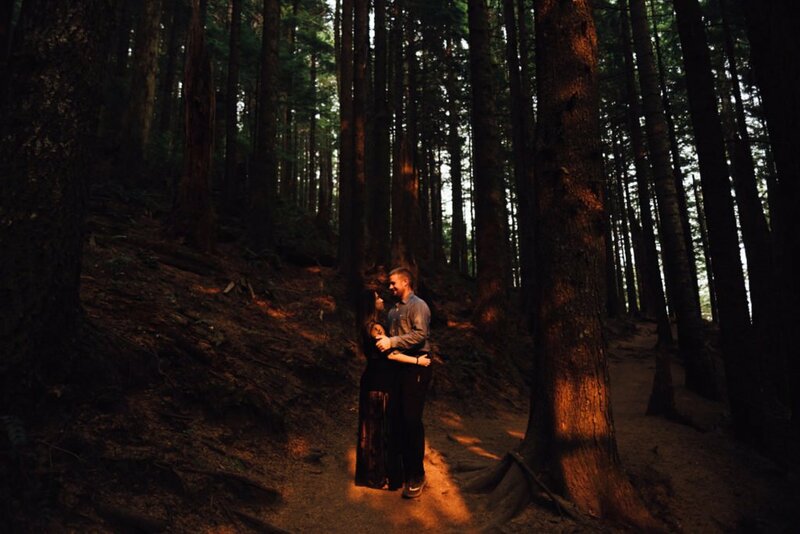 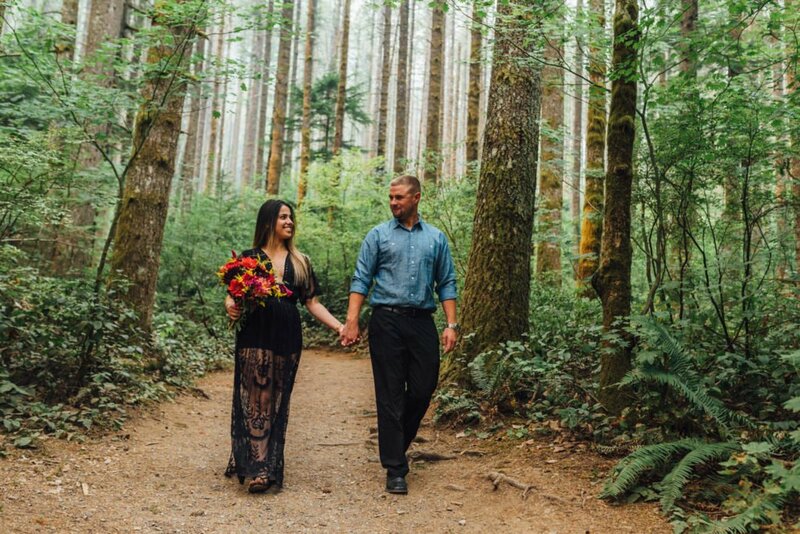 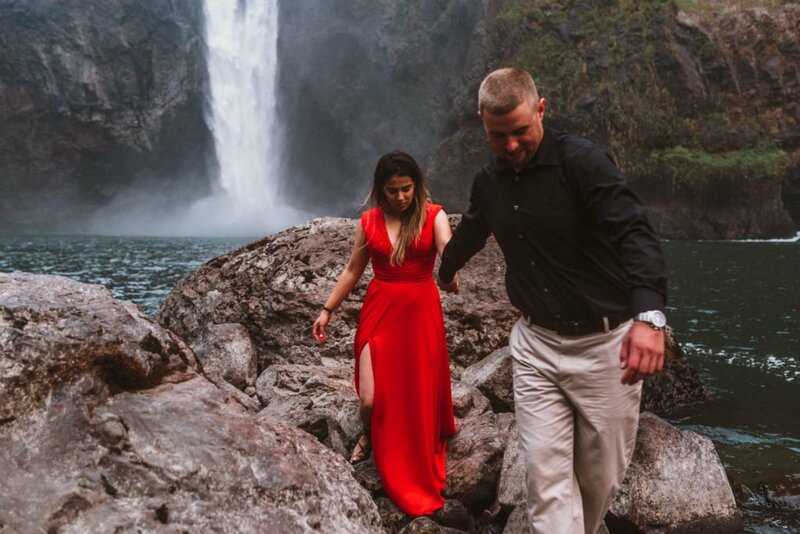 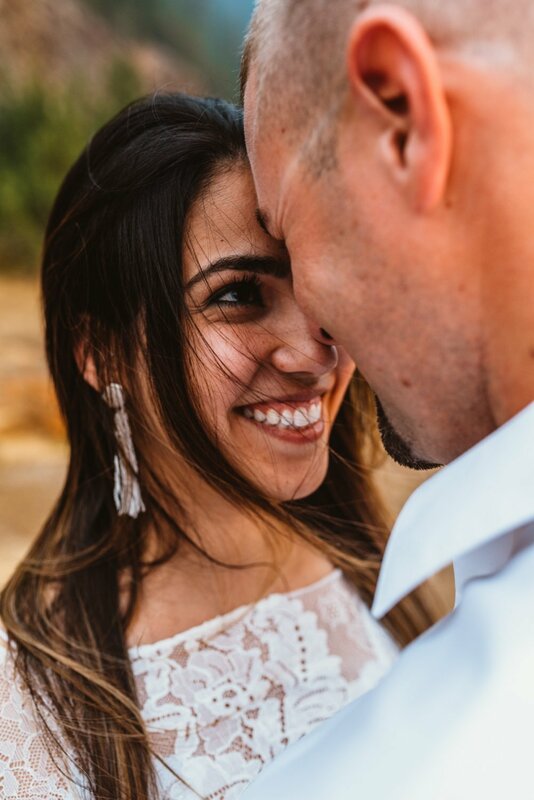 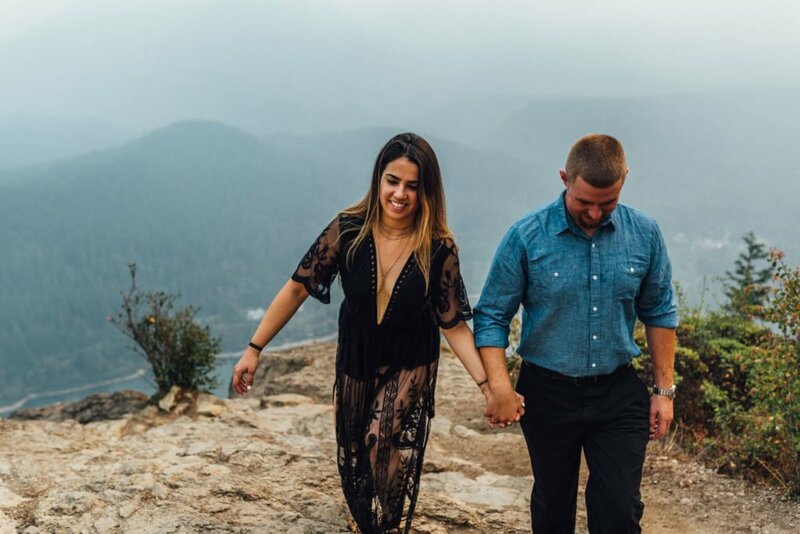 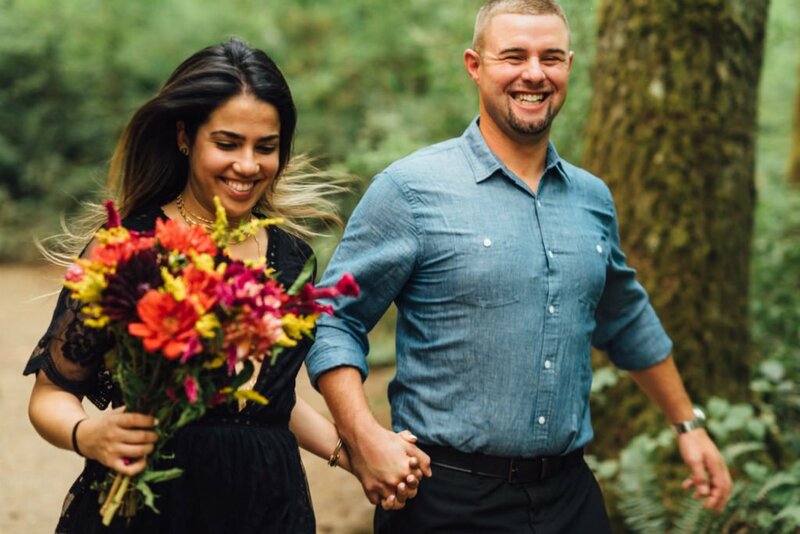 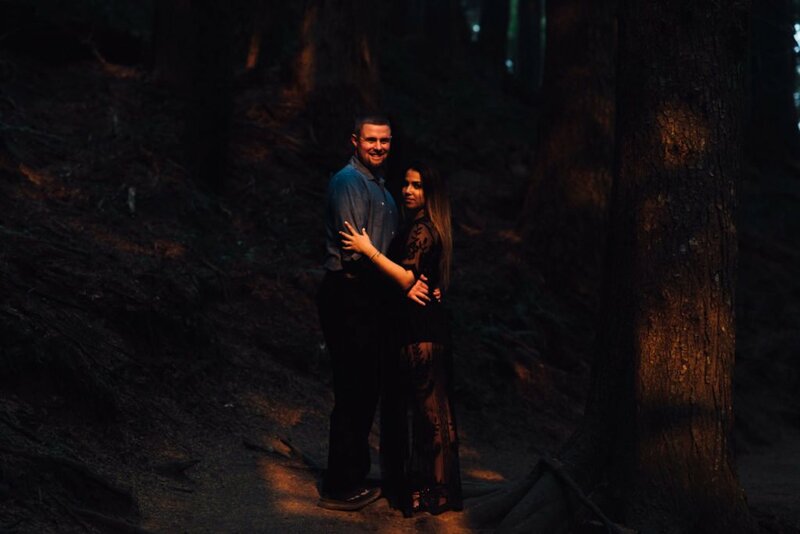 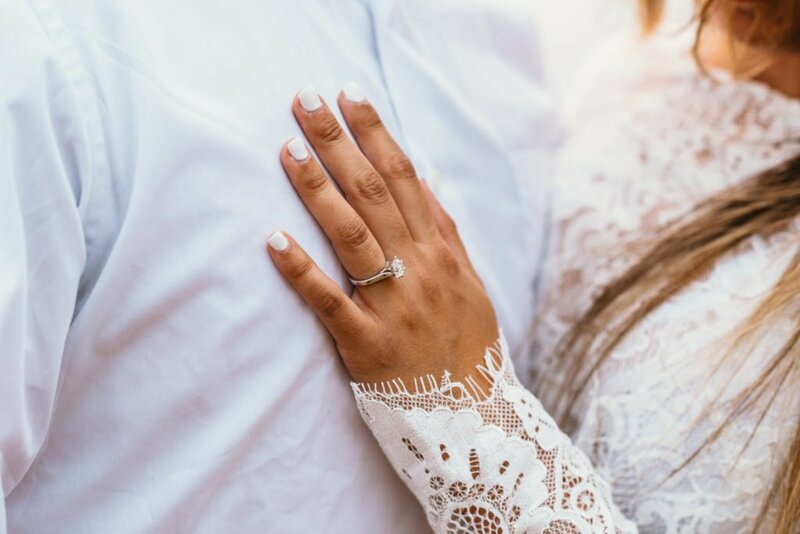 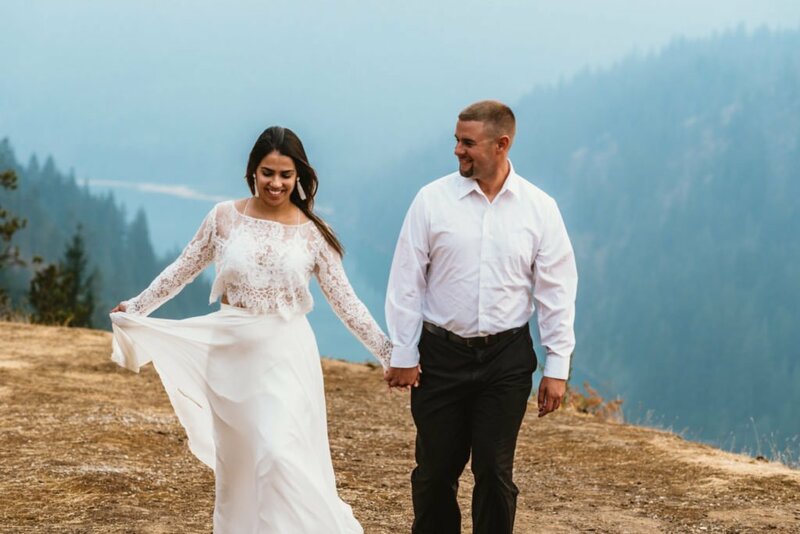 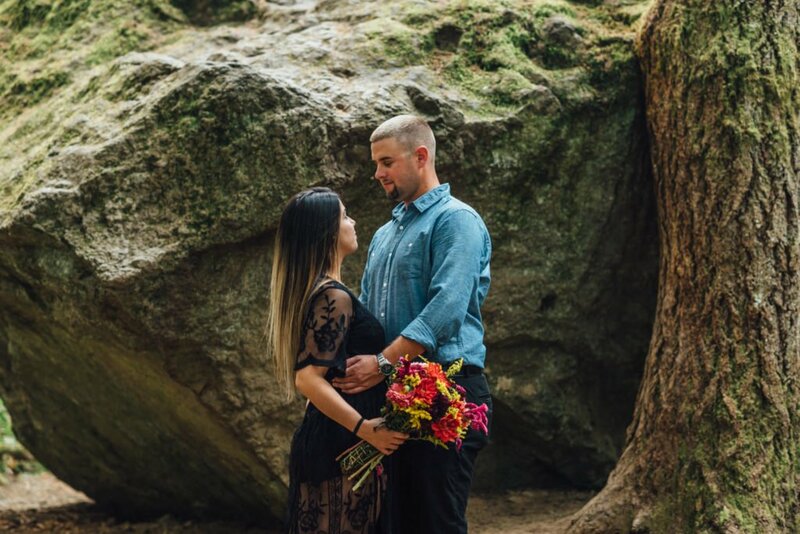 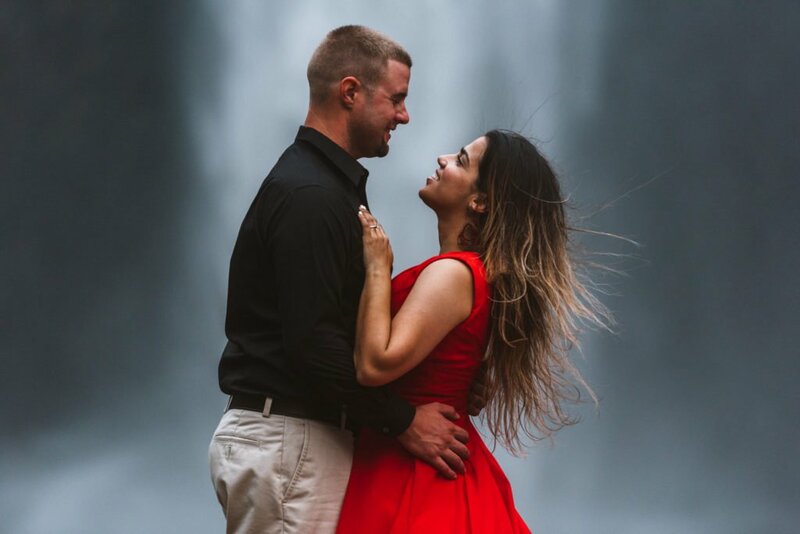 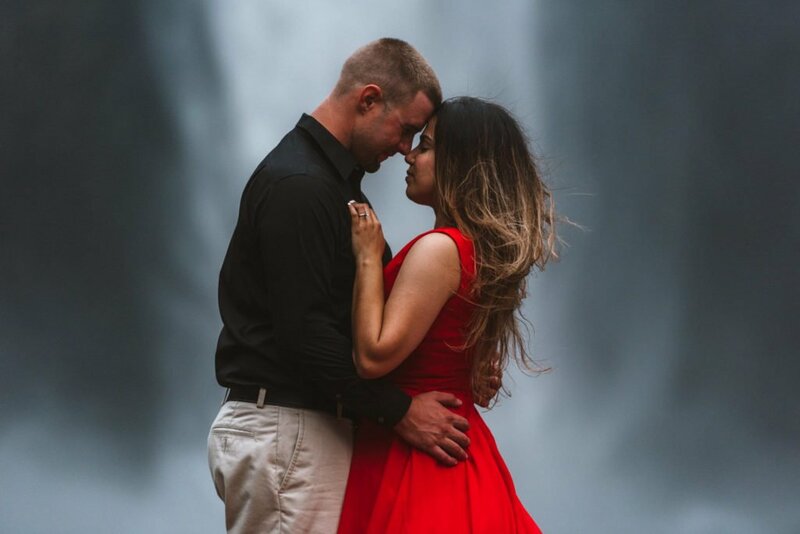 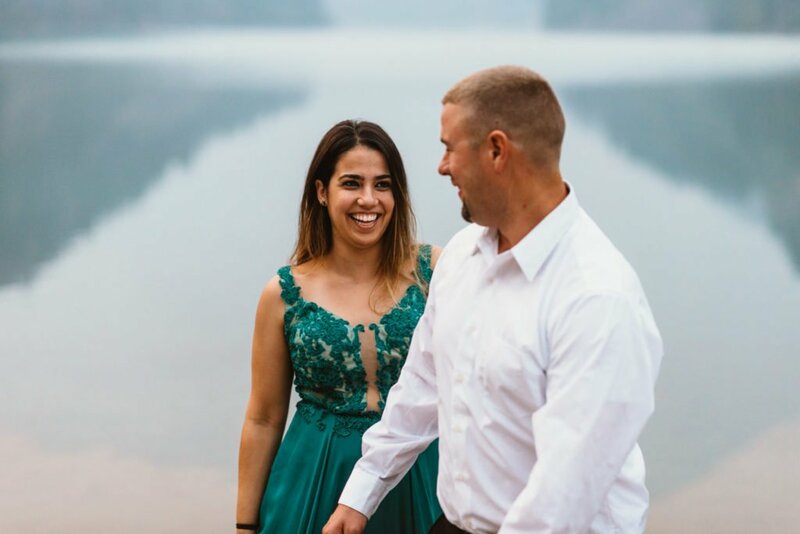 Yeni and Alan flew in from Florida to knock of the trifecta of popular engagement session spots near Seattle. 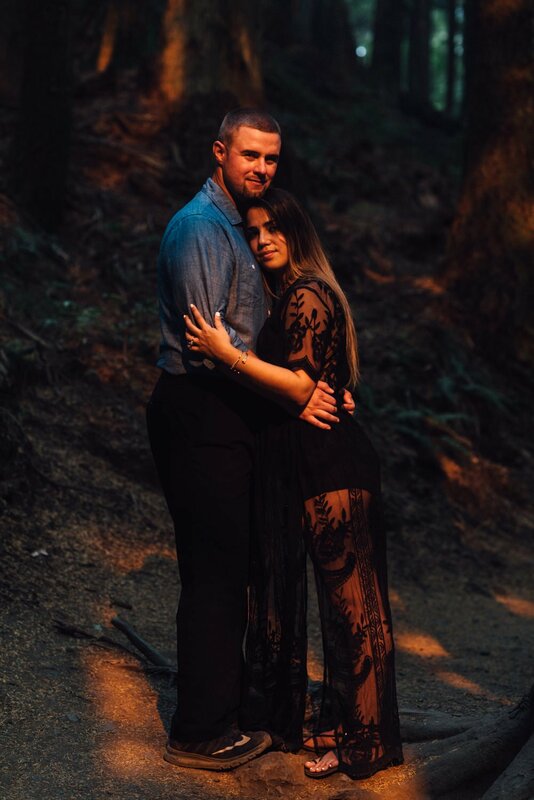 We split it up into 2 separate days of shooting. 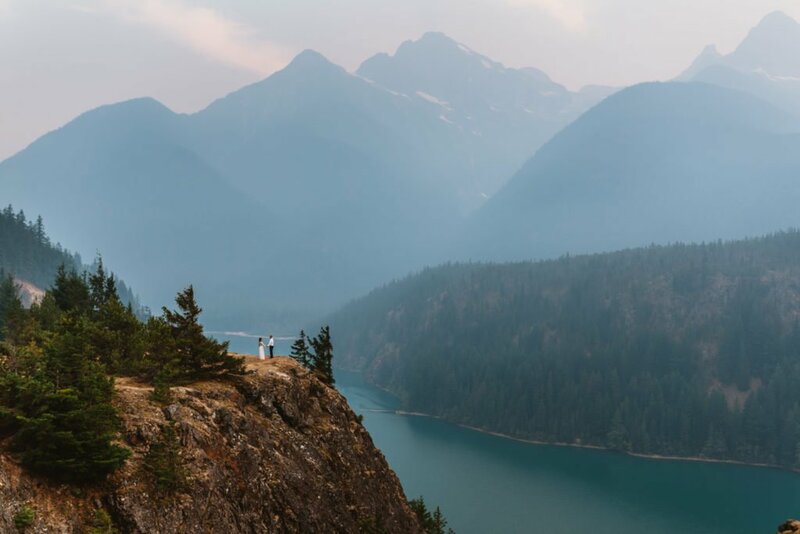 The first day we headed out to Diablo Lake in the North Cascades National Park. 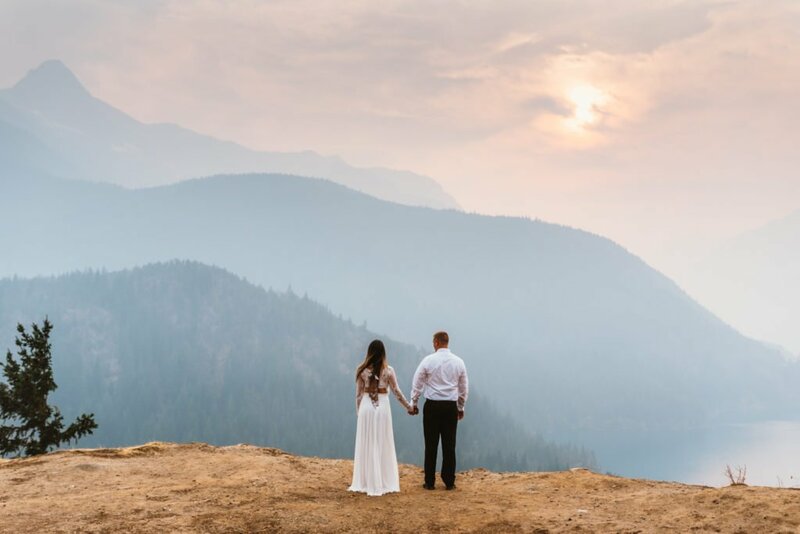 As you’ll see, there were wildfires EVERYWHERE. 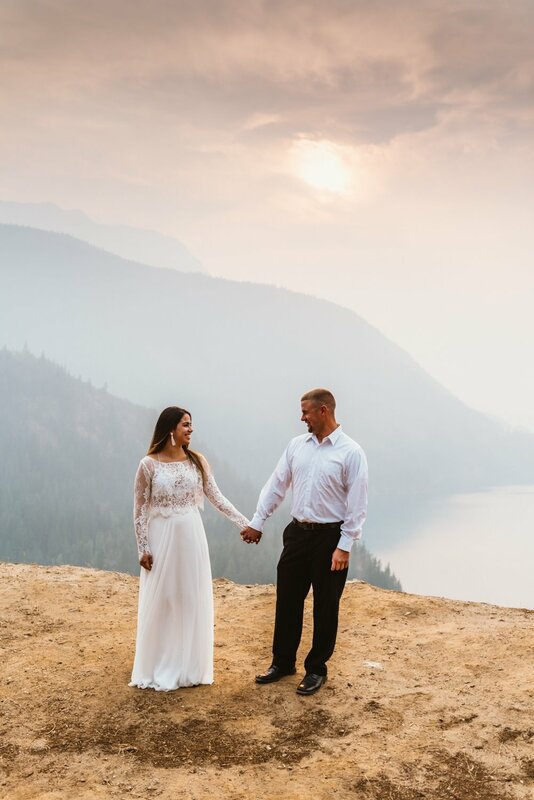 It was really bad to the point it was raining ash the last day they were in town. 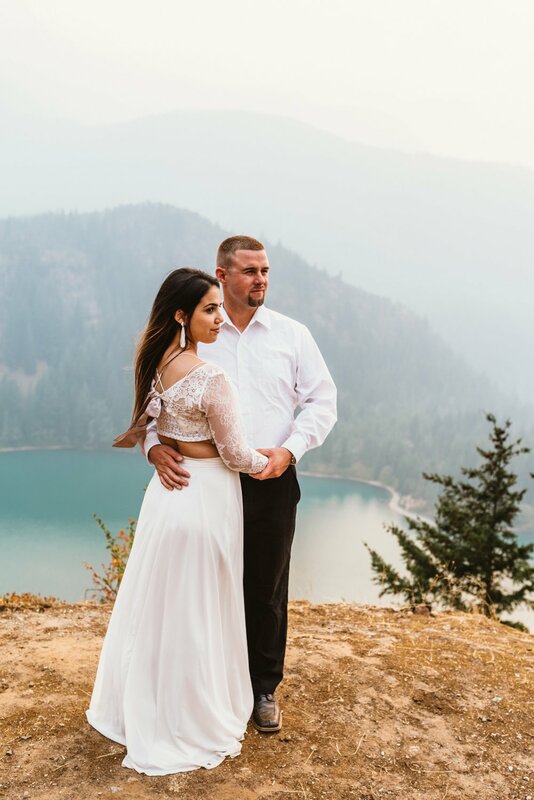 For months Yeni had been planning this shoot and definitely didn’t plan for wildfire to be a part of it. 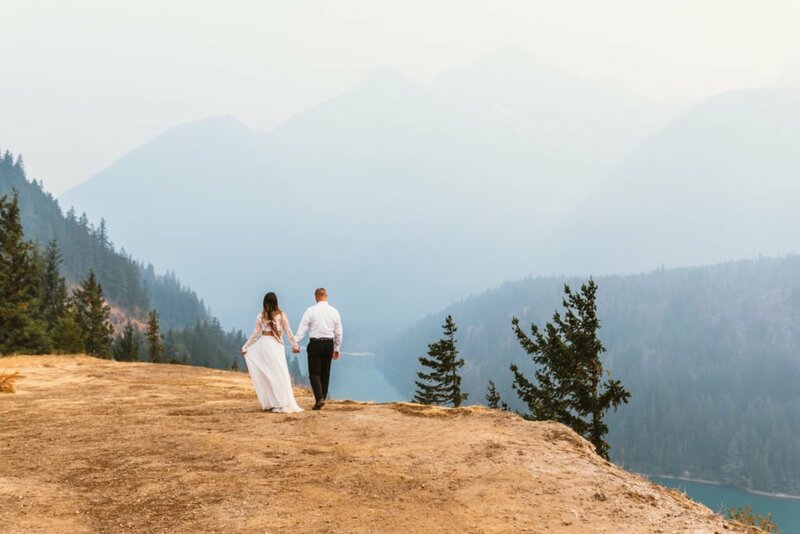 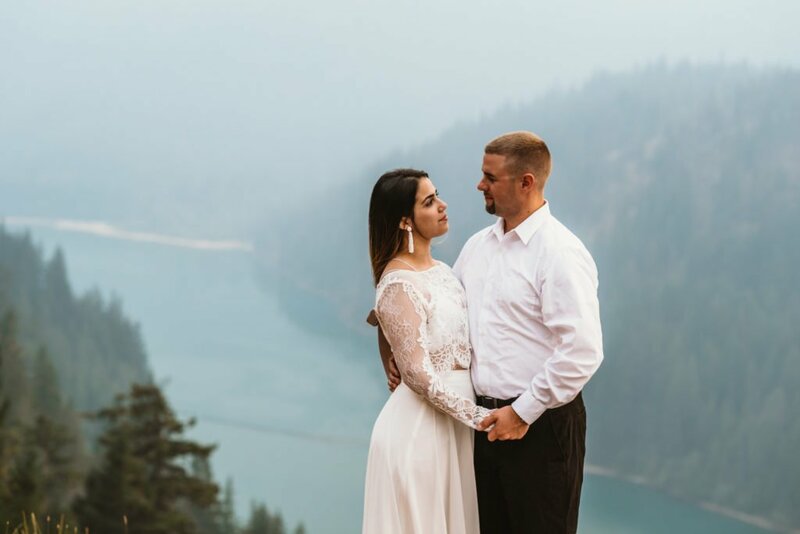 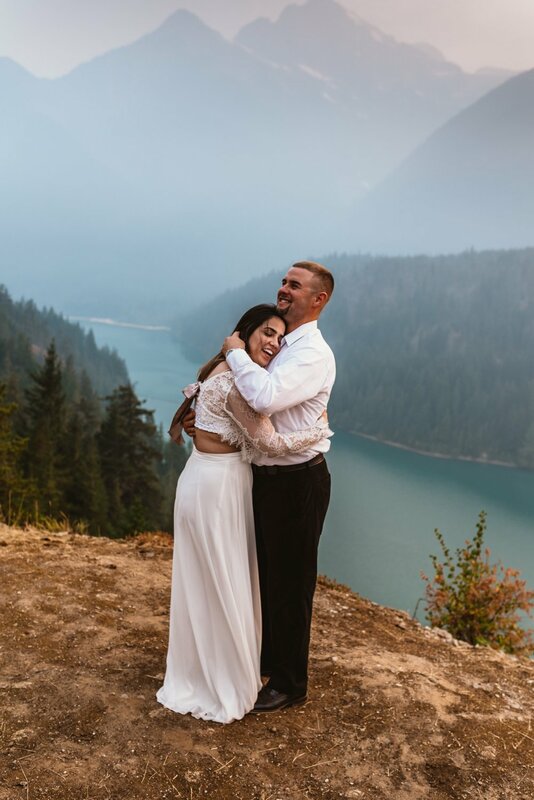 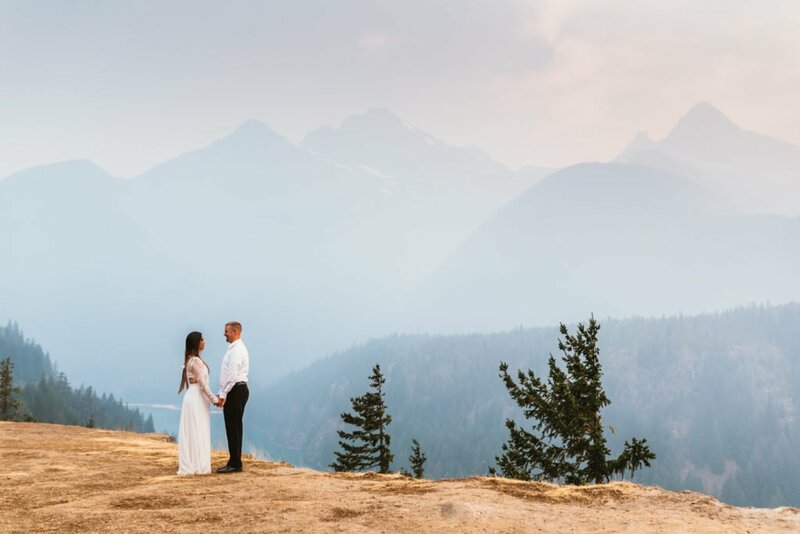 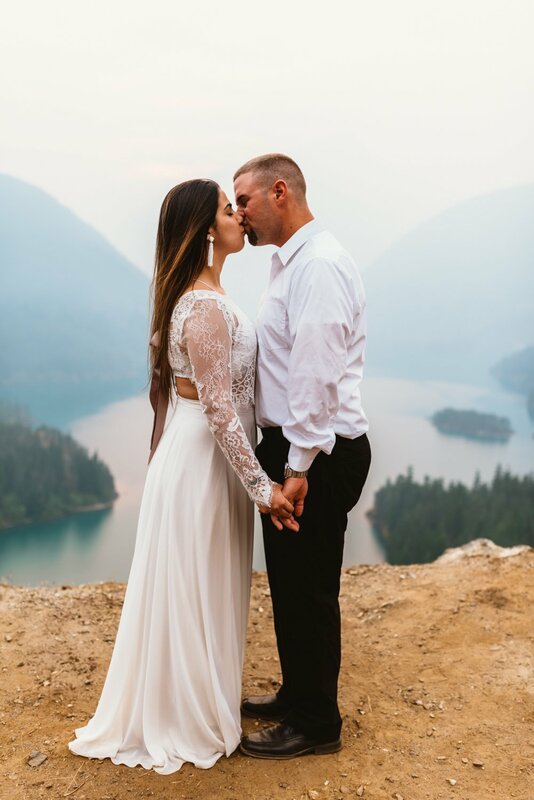 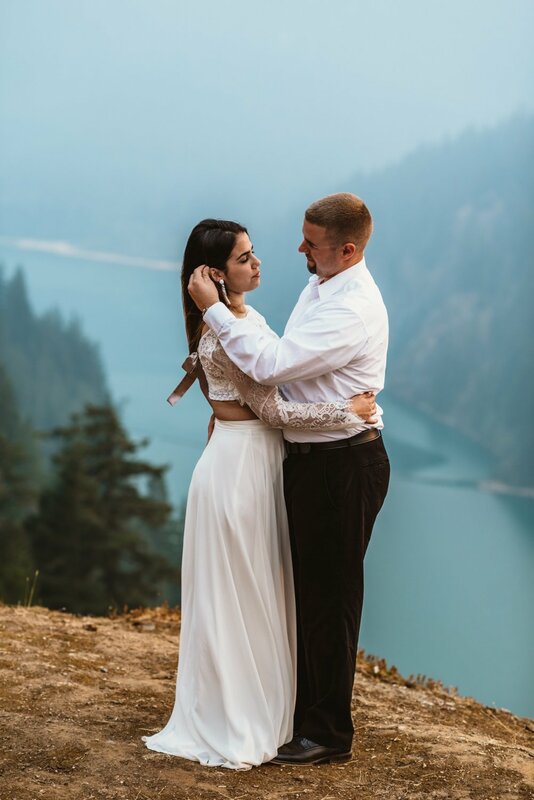 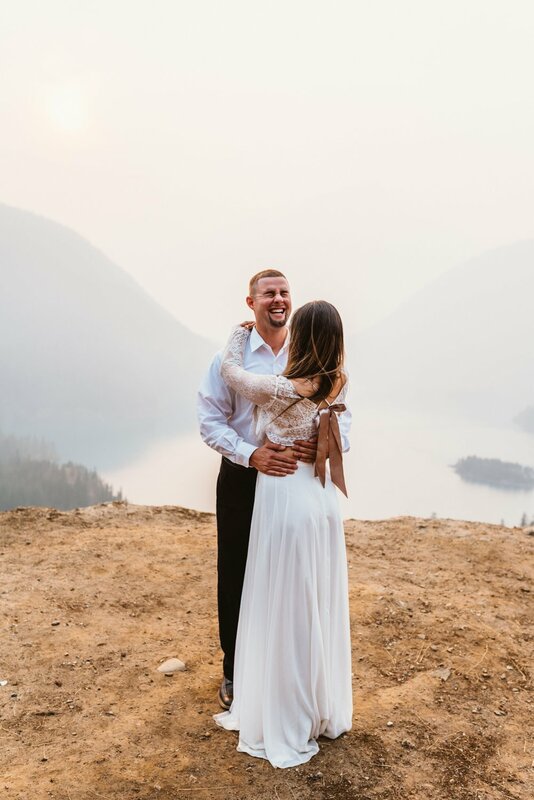 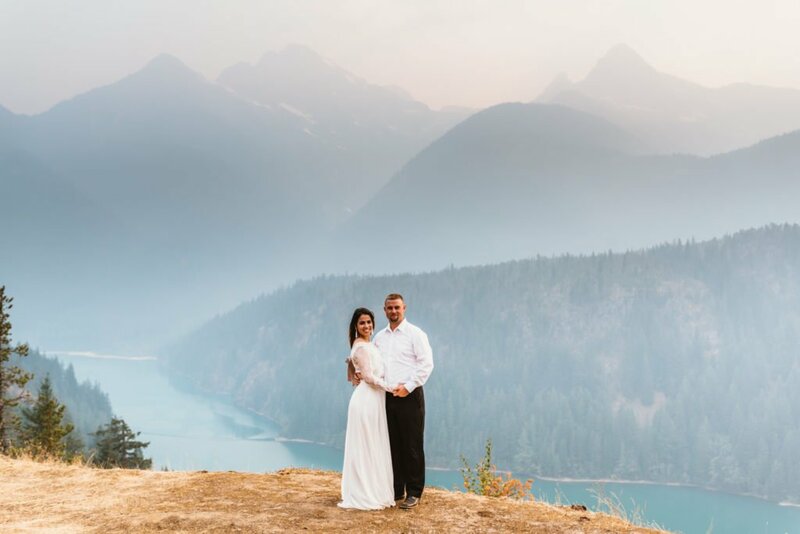 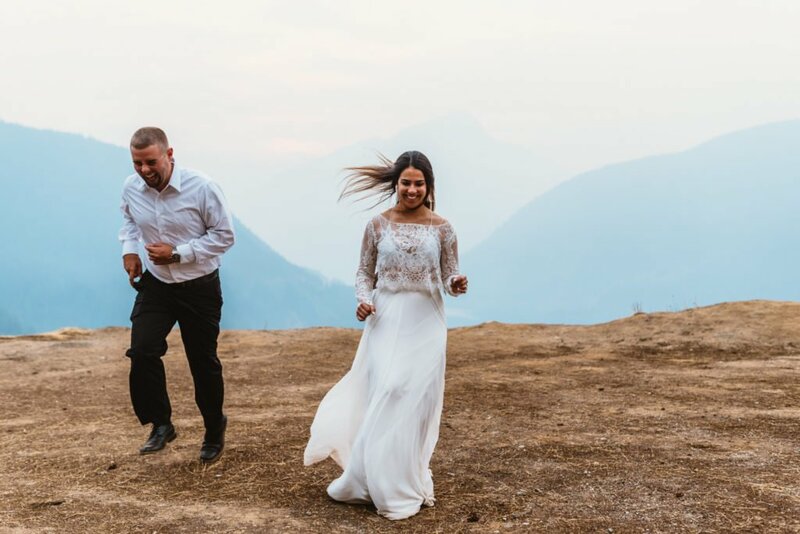 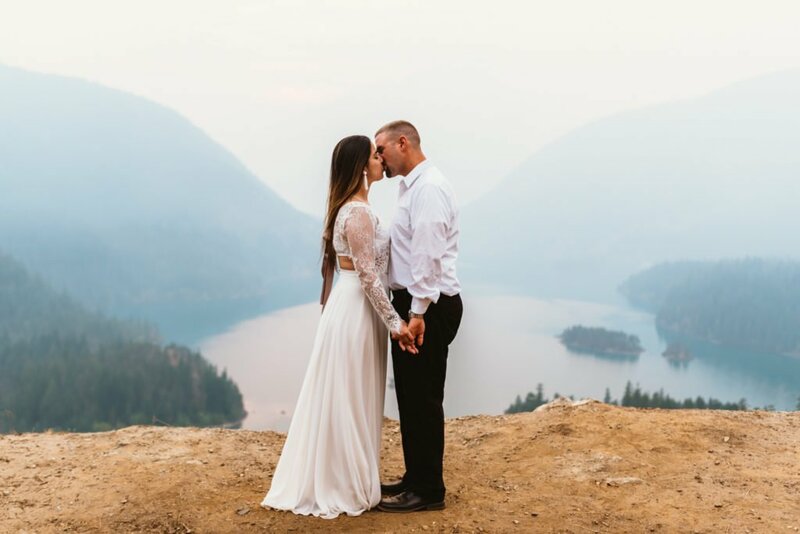 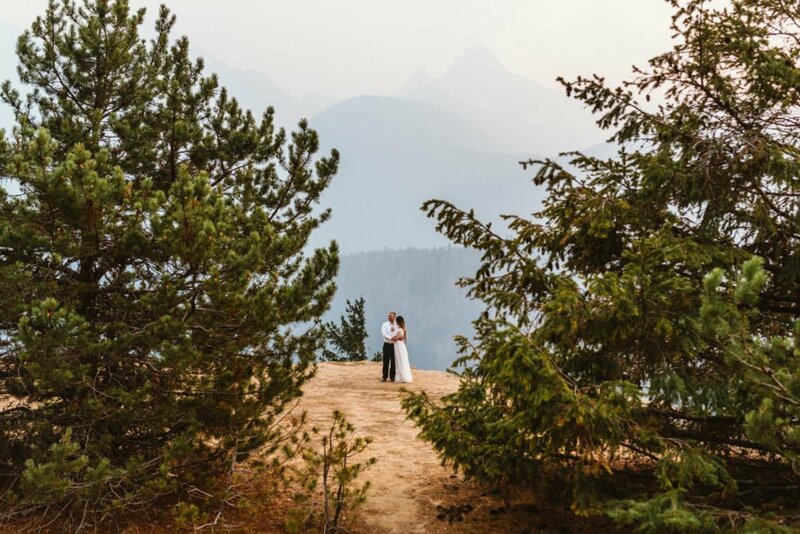 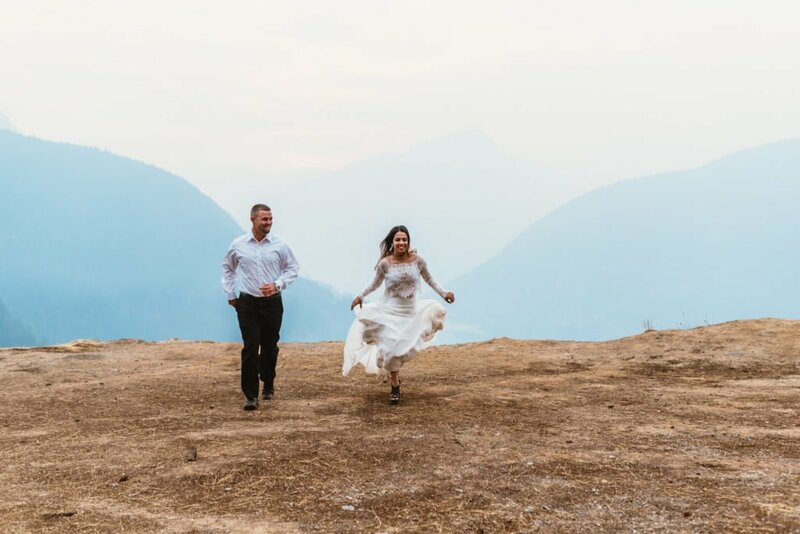 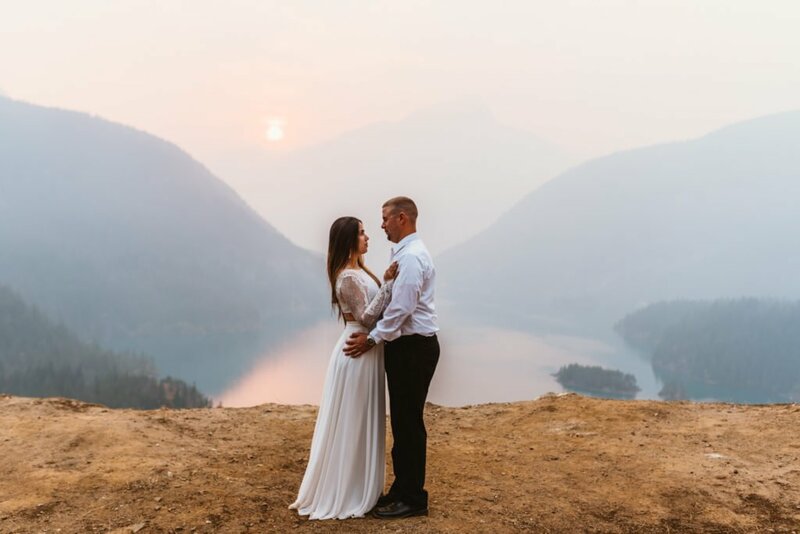 I felt for her, for months she envision the bright greens and blues of the PNW and instead she was met with a blanket of smoke that went for miles and miles. 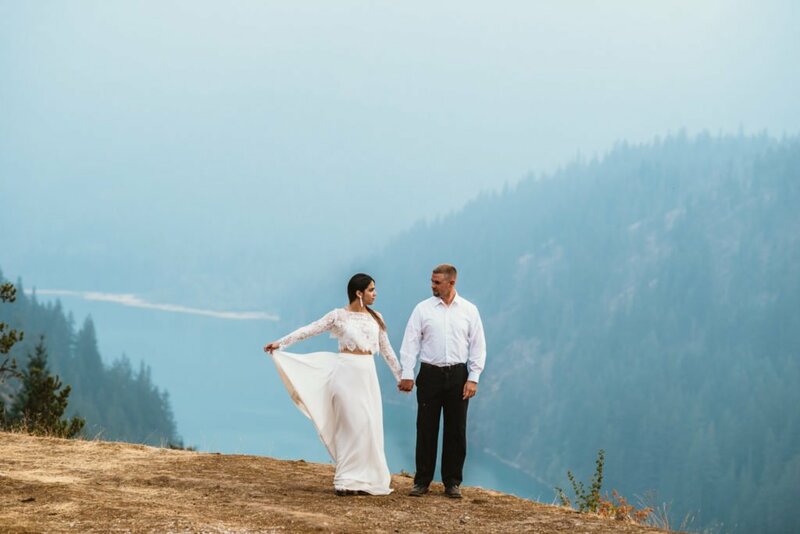 I could tell she was really bummed about the smoke ruining the normal view. 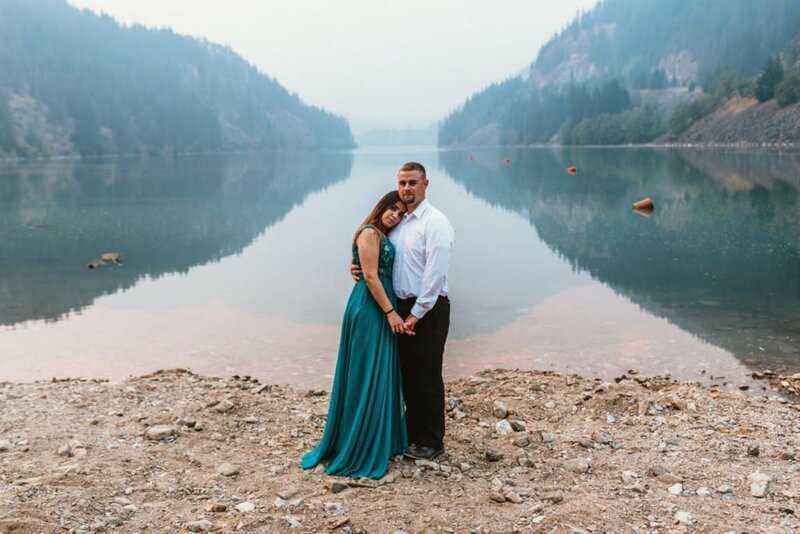 I on the other hand have shot with smoke before and knew what a different look it could give the photos. 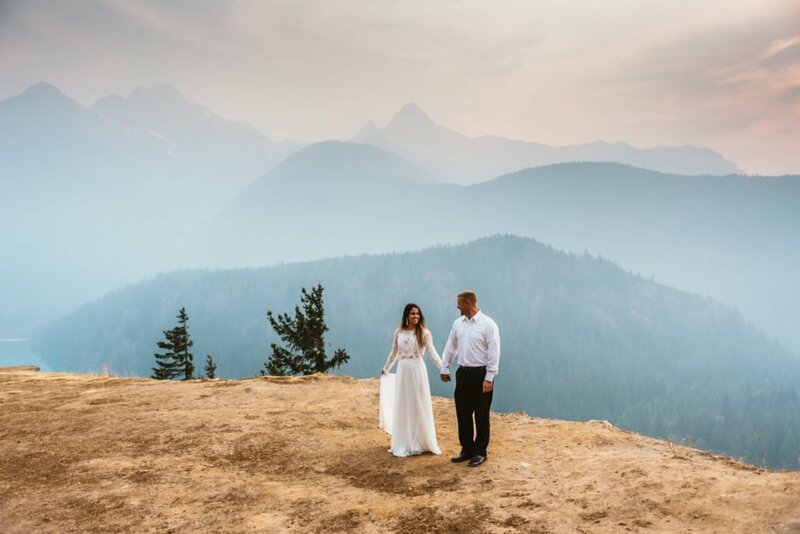 That soft pastel, layered mountain background is hard to get without the smoke and sun. 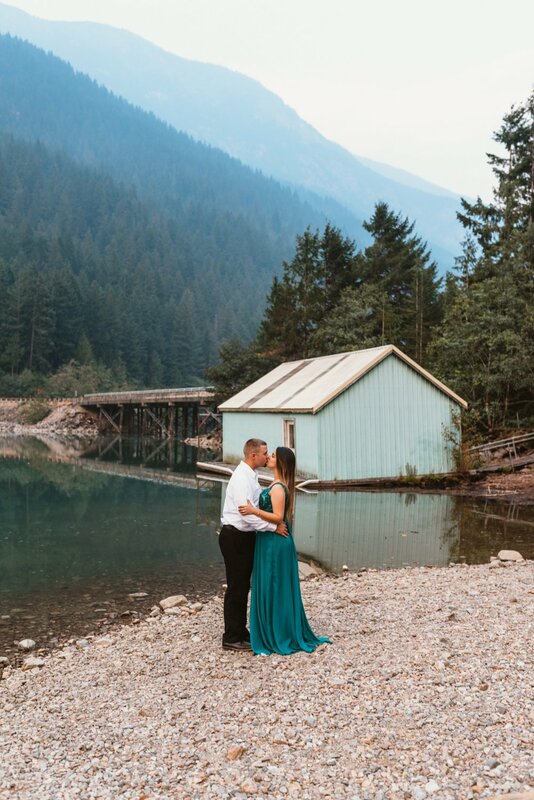 It was absolutely stunning. 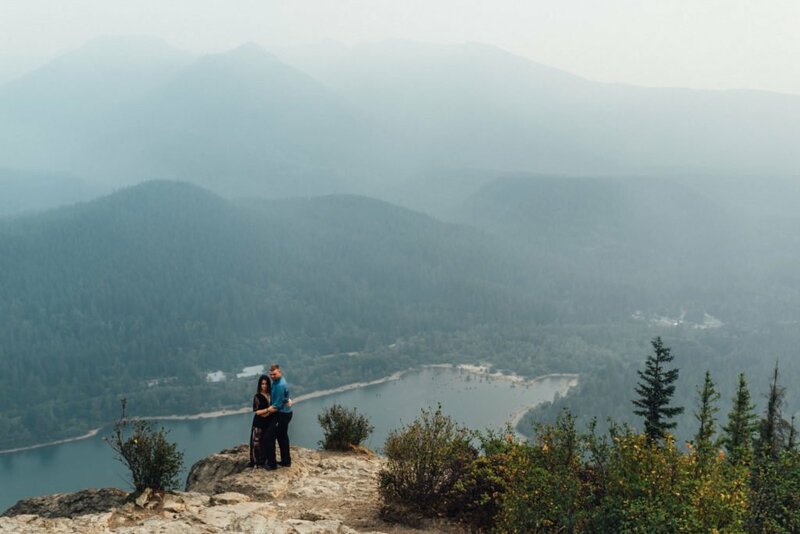 The morning after we shot at Diablo we hiked up to the top of Rattlesnake Ledge for what ended up being an even smokier view. 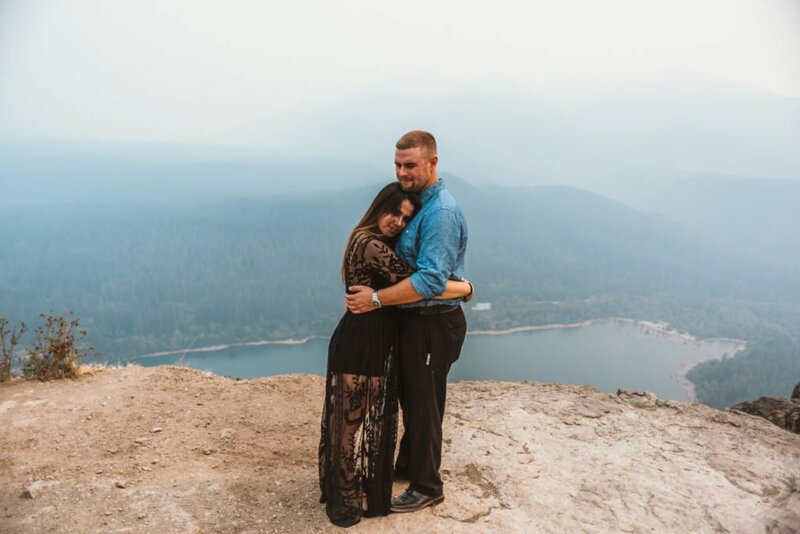 It was really tough shooting up there because it was almost completely white. 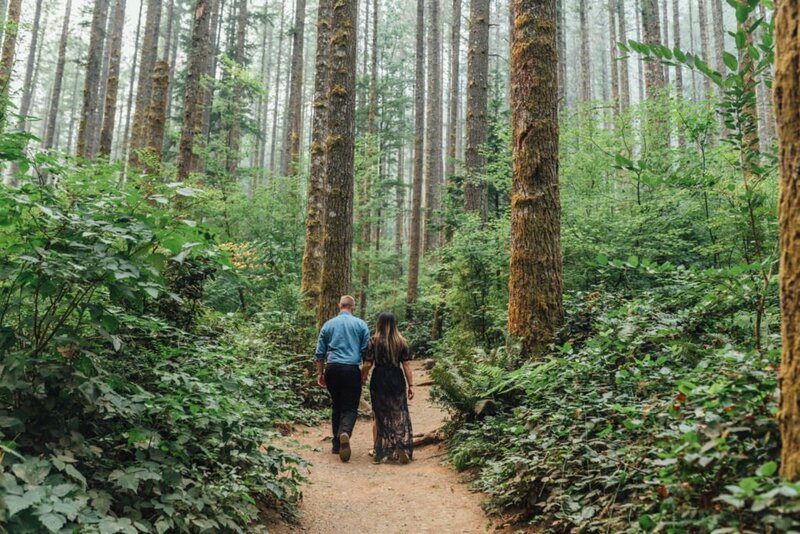 Not to mention it isn’t a leisurely stroll up hill. 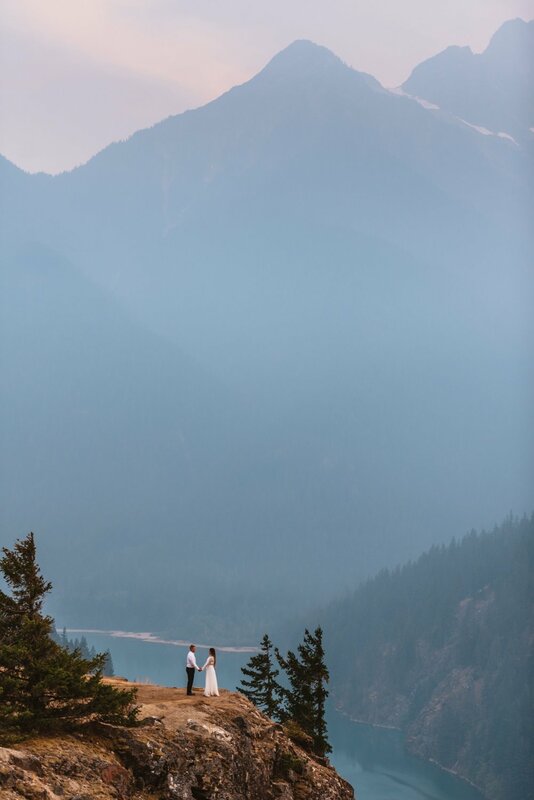 For an east coaster it’s quite the hike. 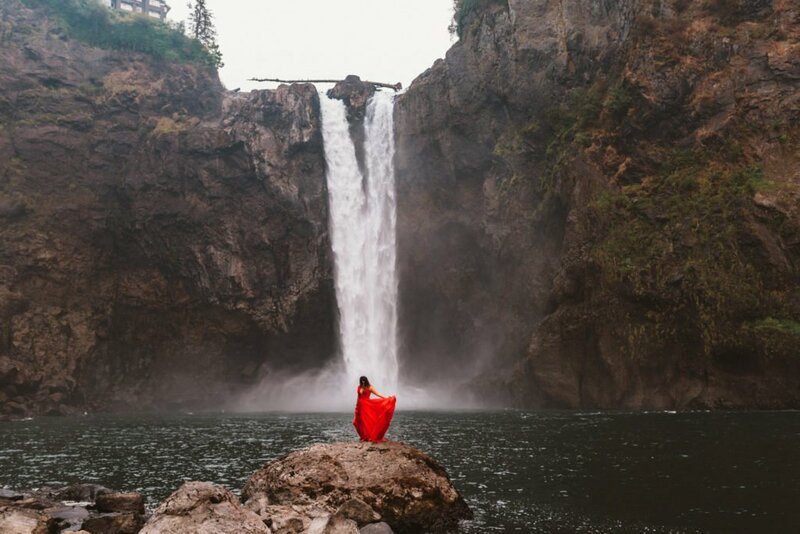 After we wrapped at Rattlesnake we grabbed some post shoot ice cream to load back up on energy and hiked down to the bottom of Snoqualmie Falls. 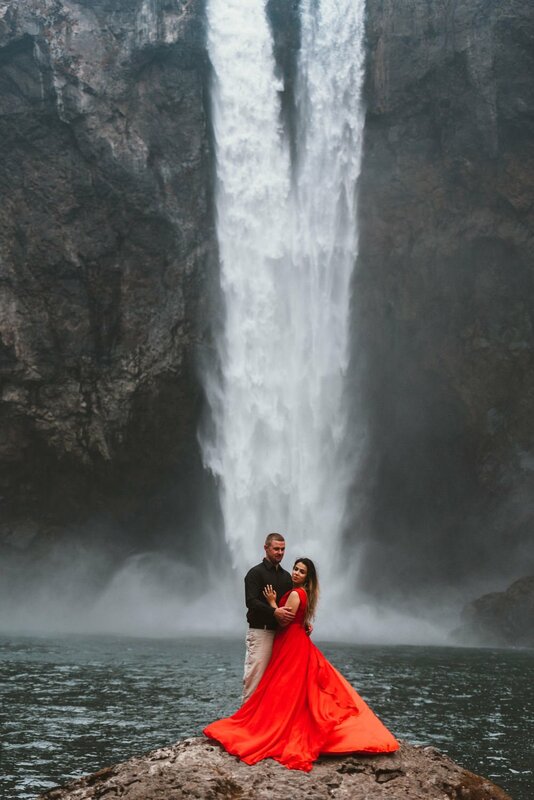 We finished the second day shooting there in front of the gorgeous falls and rock pool at the base while the sun slowly faded. 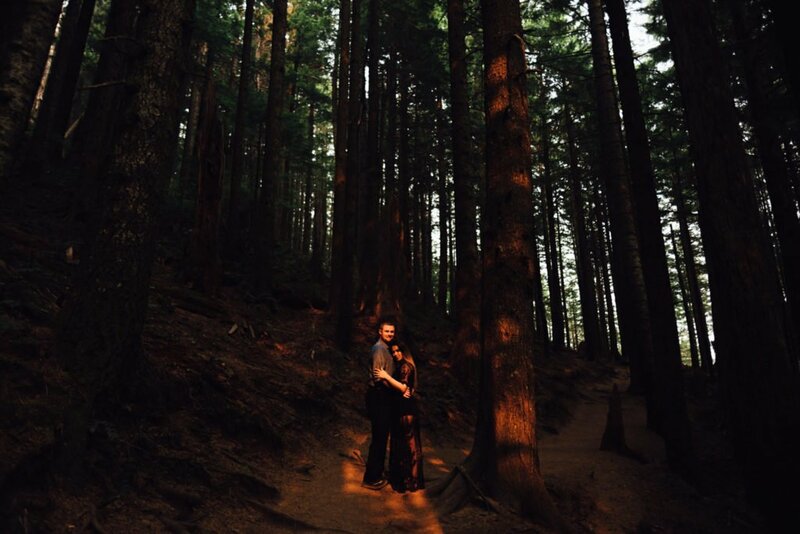 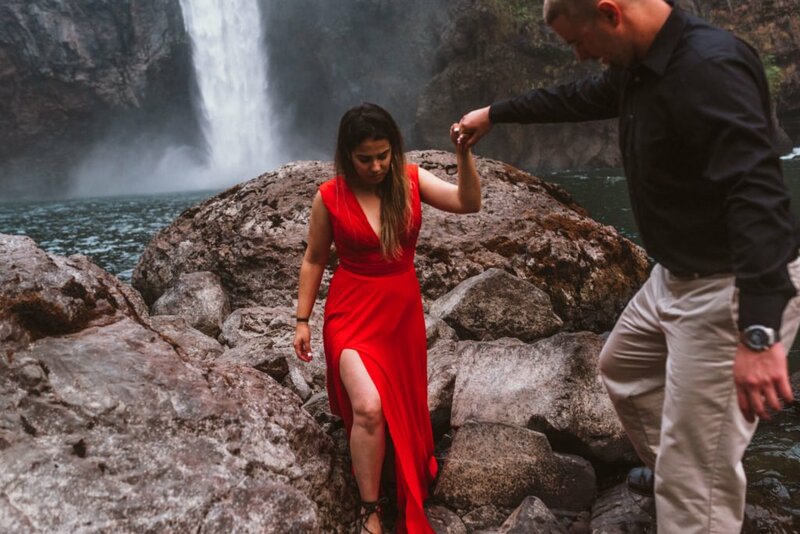 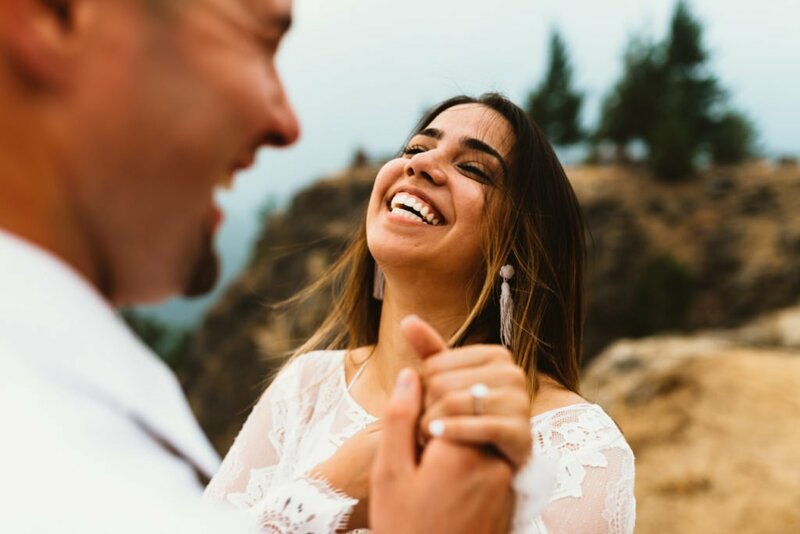 It was a long two days but totally worth it to give Yeni and Alan the Epic PNW Engagement Session experience.